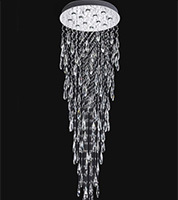 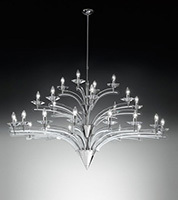 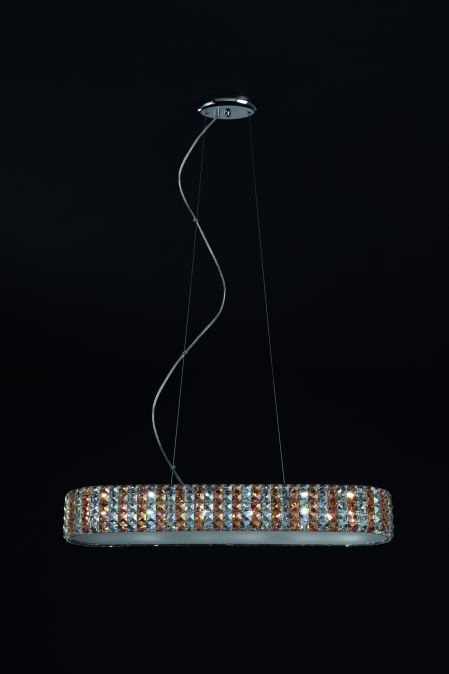 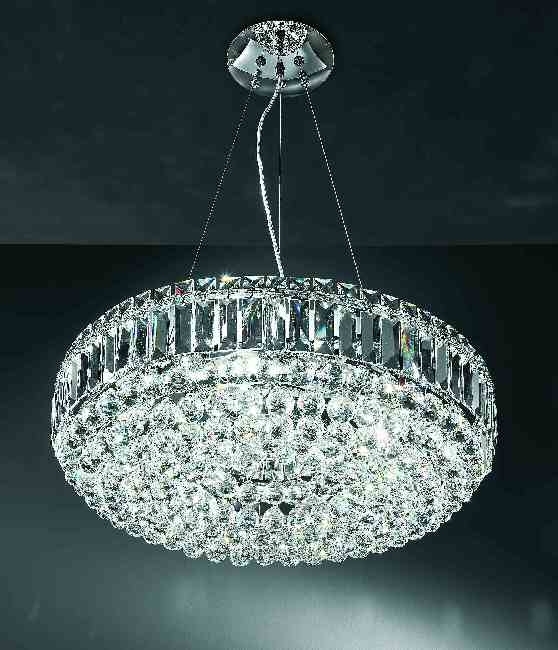 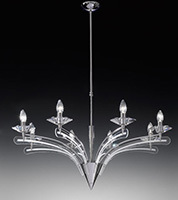 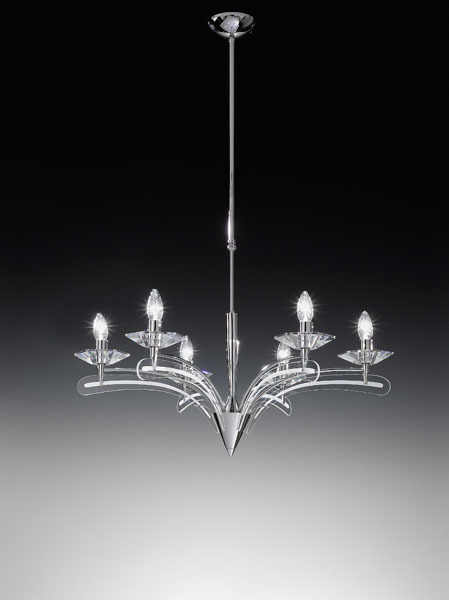 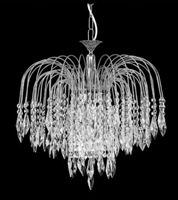 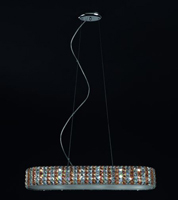 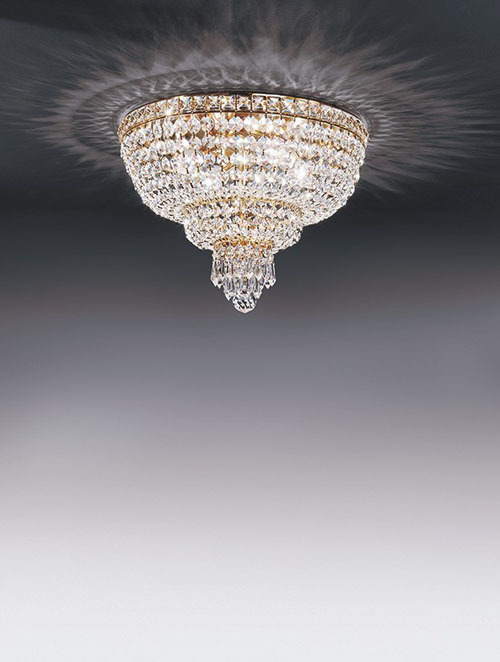 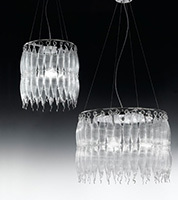 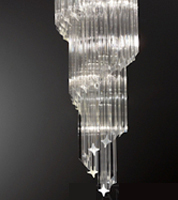 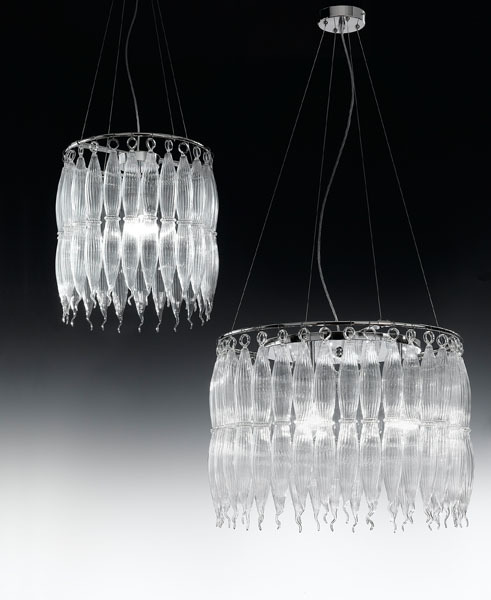 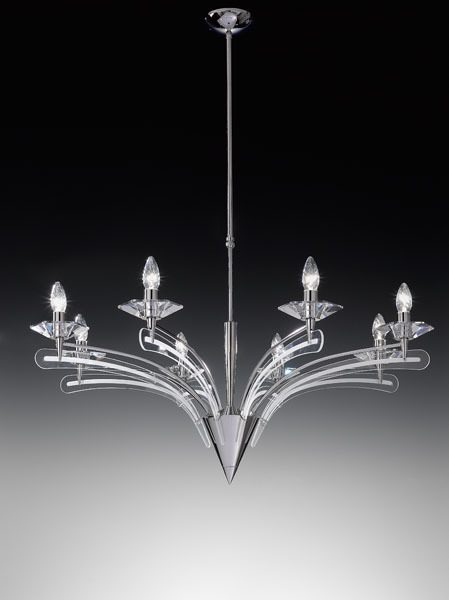 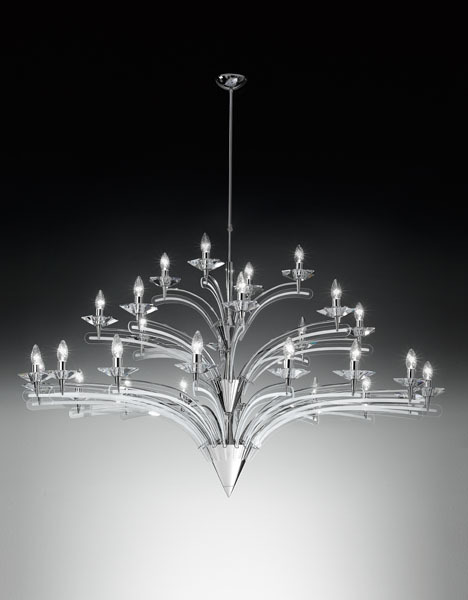 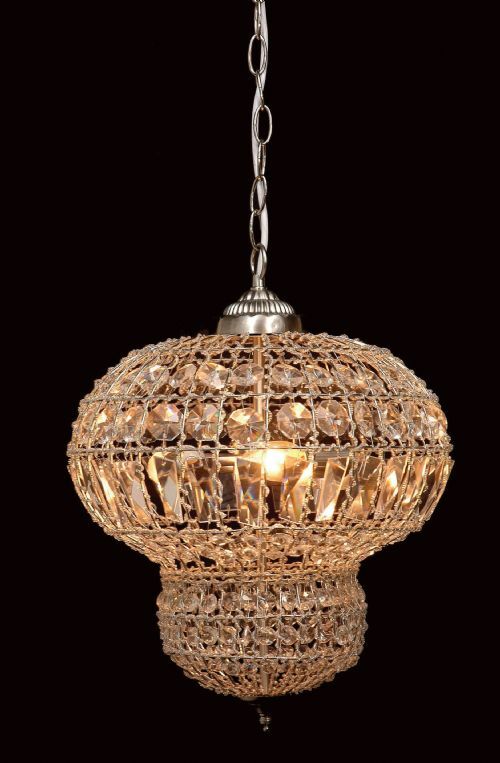 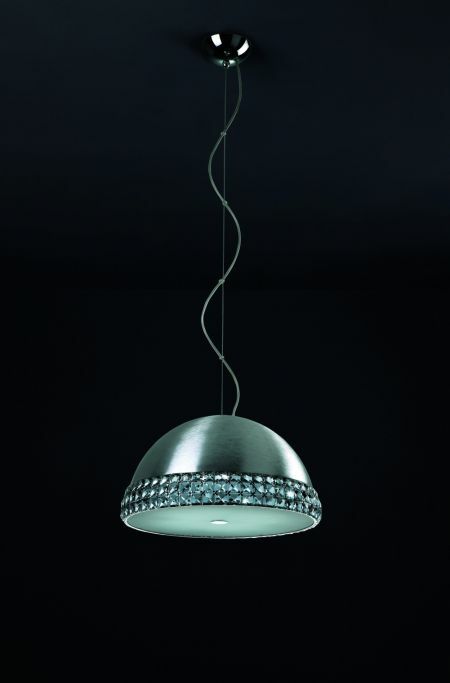 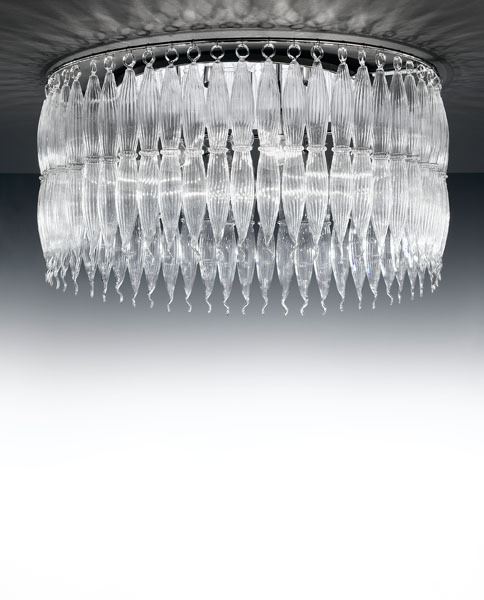 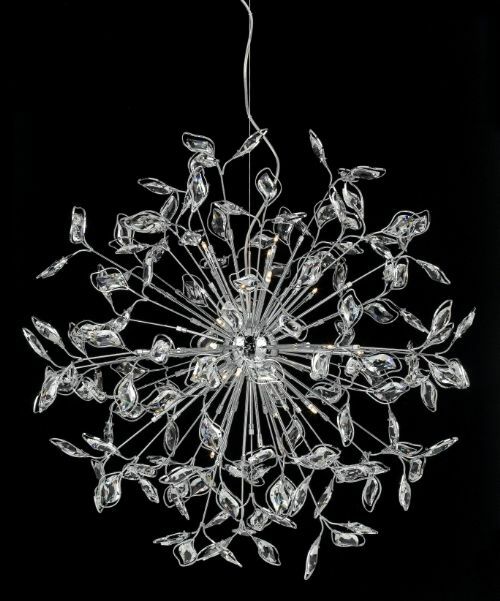 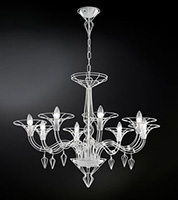 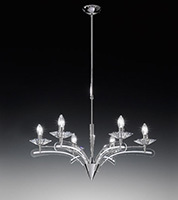 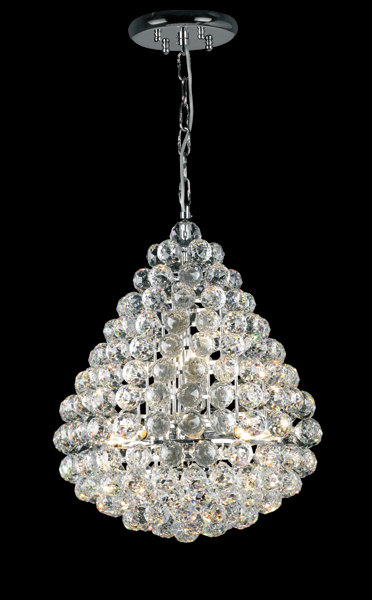 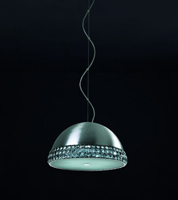 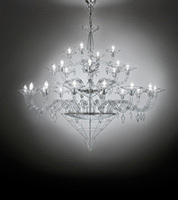 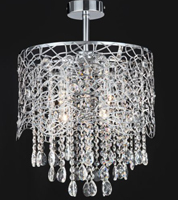 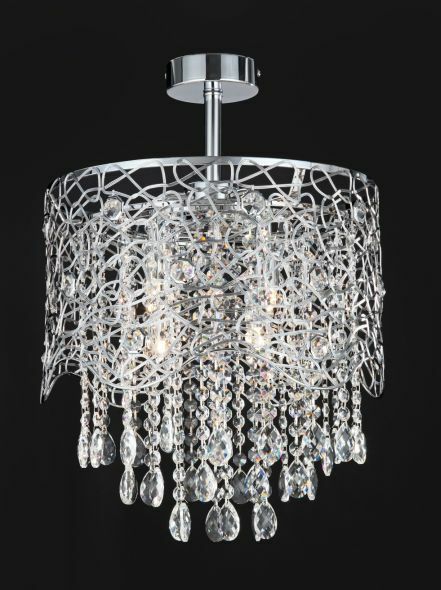 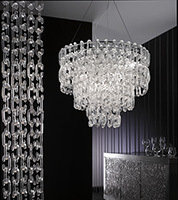 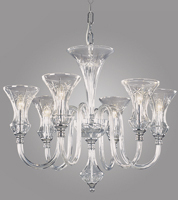 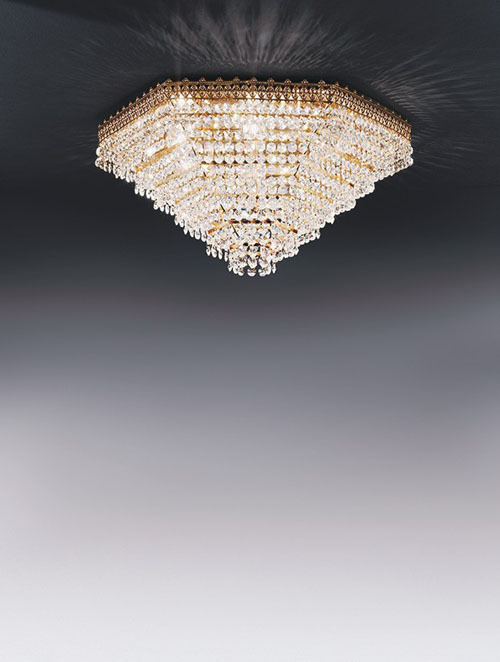 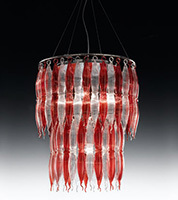 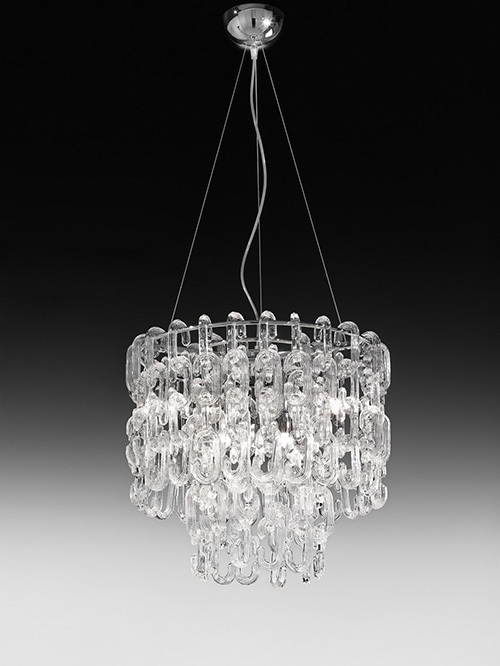 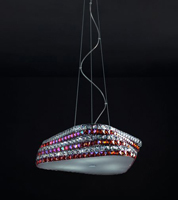 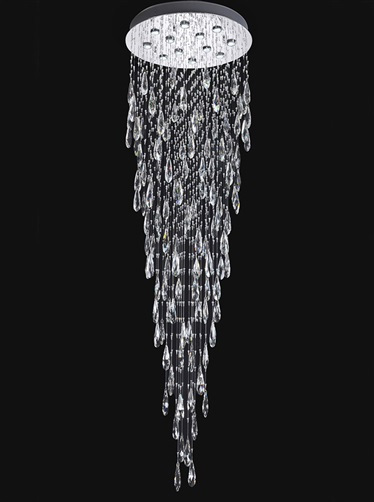 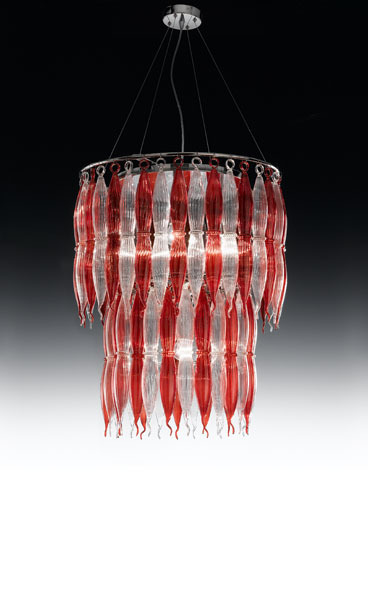 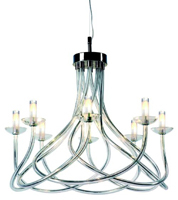 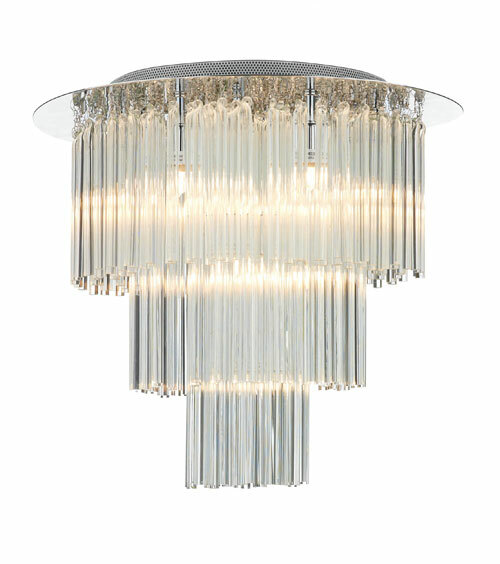 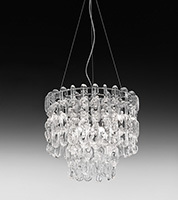 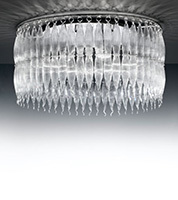 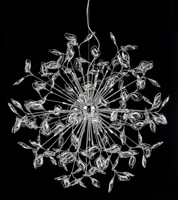 Angelos Lighting sell a beautiful range of crystal chandeliers from our contemporary lighting store in North London. 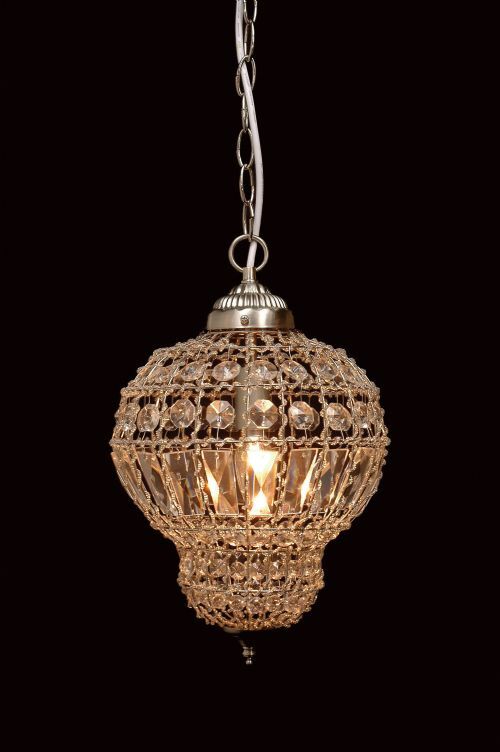 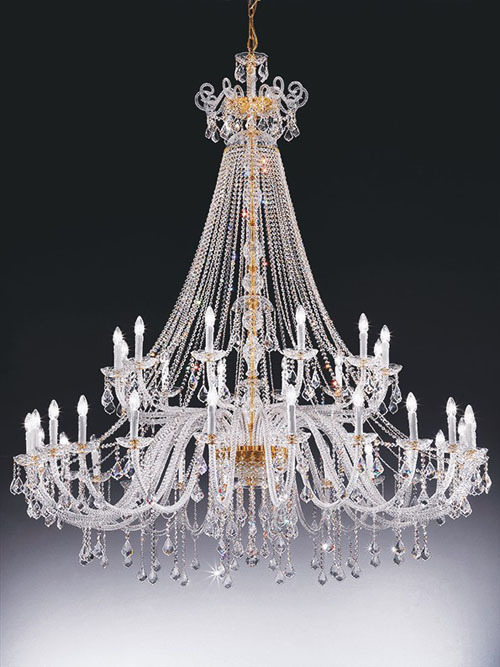 To view a sample of our beautiful crystal chandeliers, click on the images below – however please note that in our North London store the range of crystal chandeliers we have available is much larger than we are able to currently display on our web site. 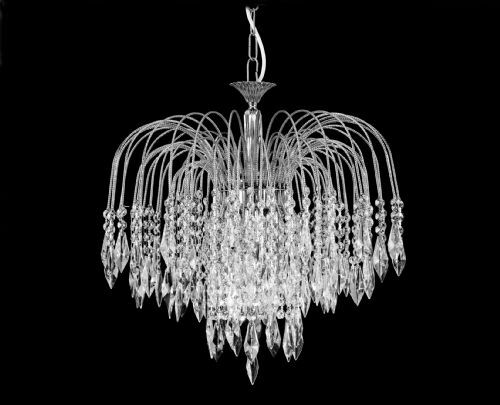 Whatever room of the house you wish to decorate with a beautiful crystal chandelier, we have something to suit all tastes. 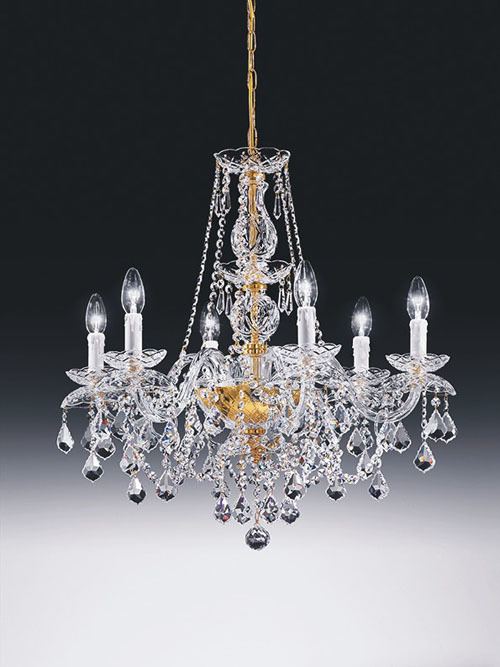 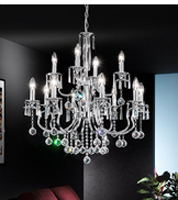 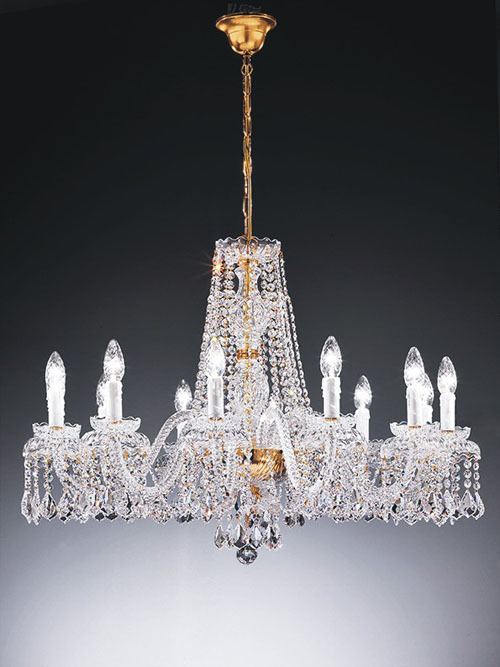 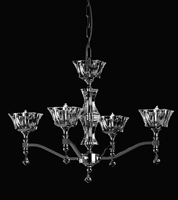 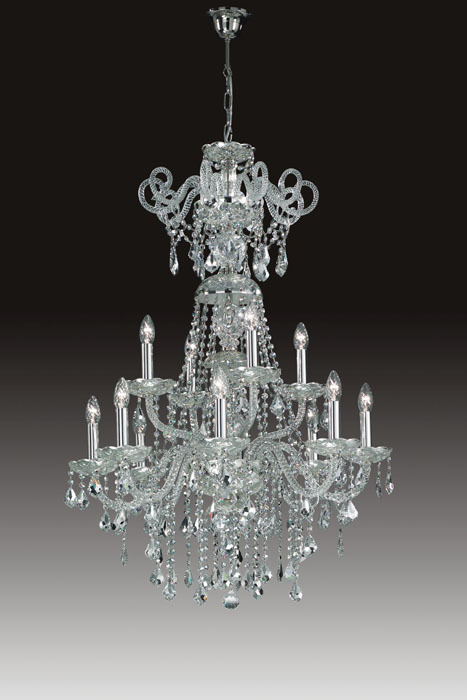 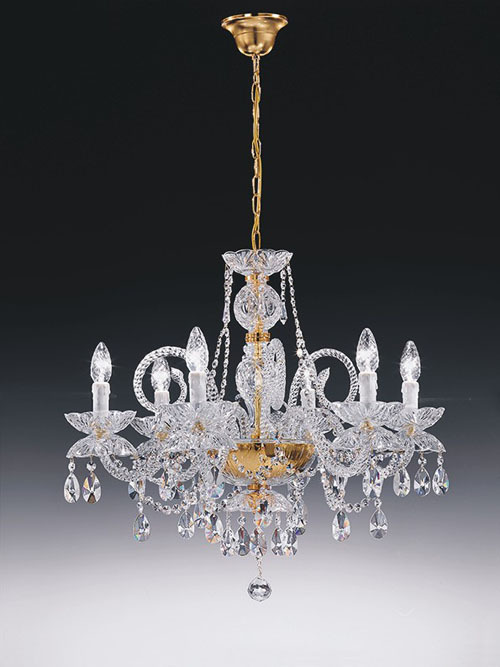 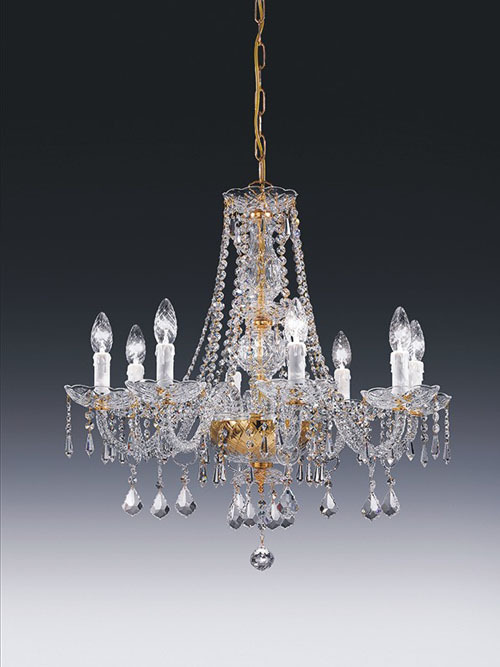 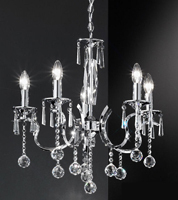 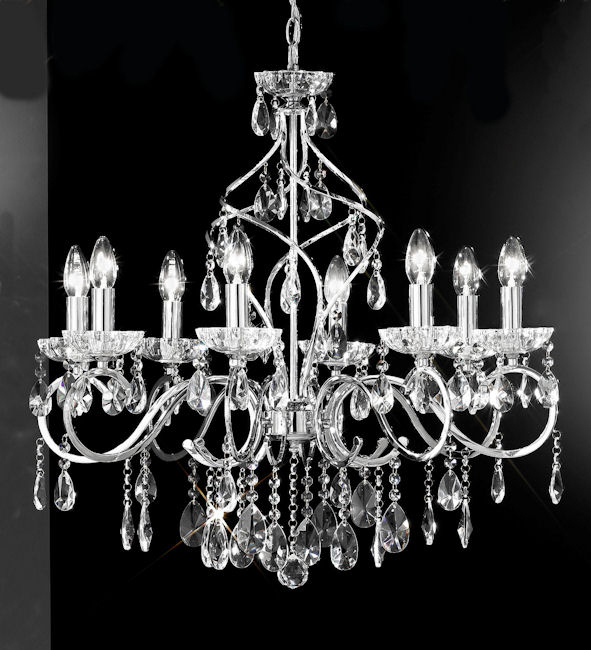 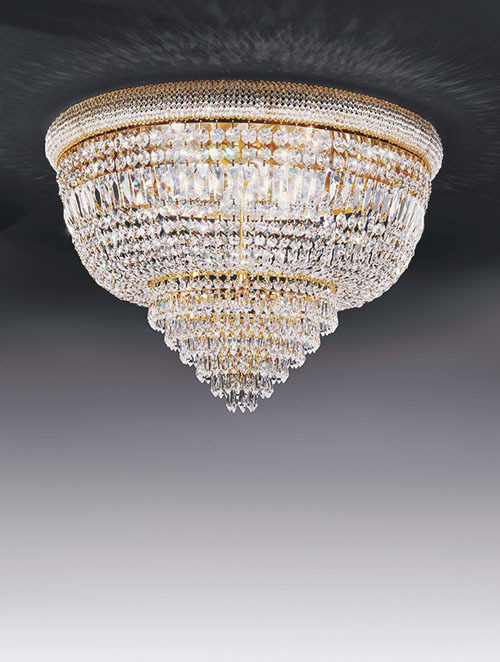 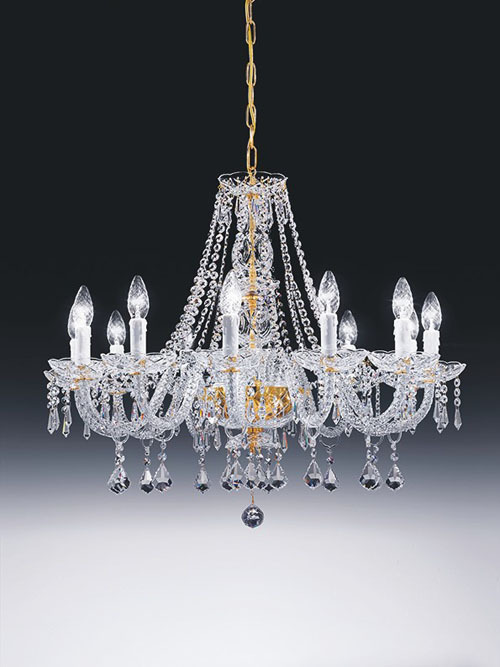 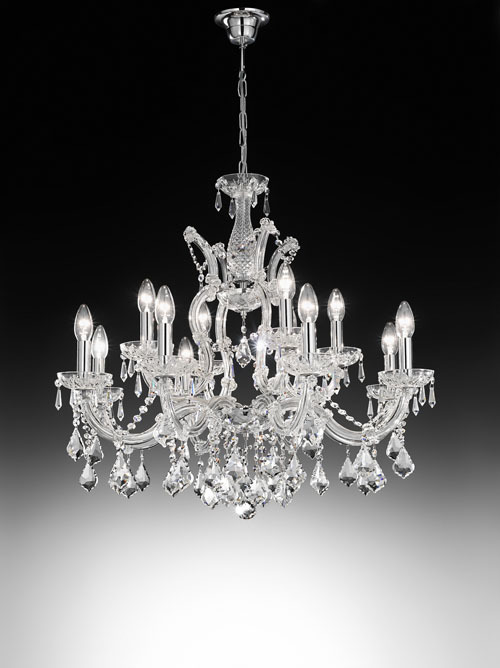 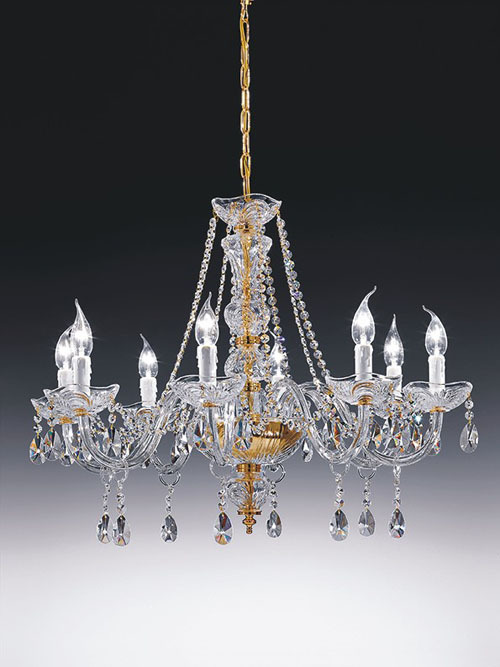 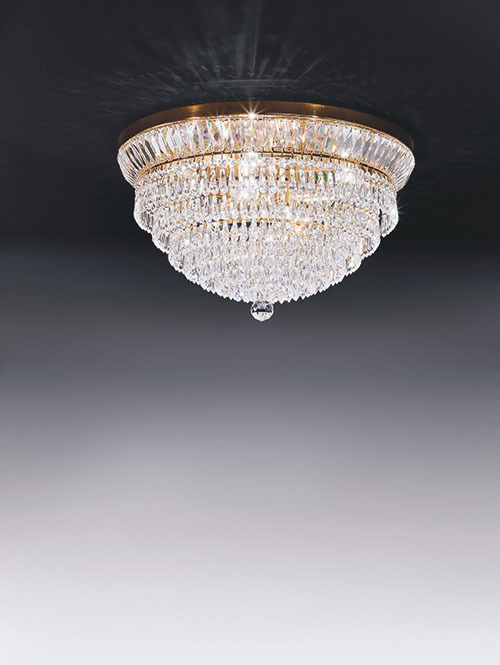 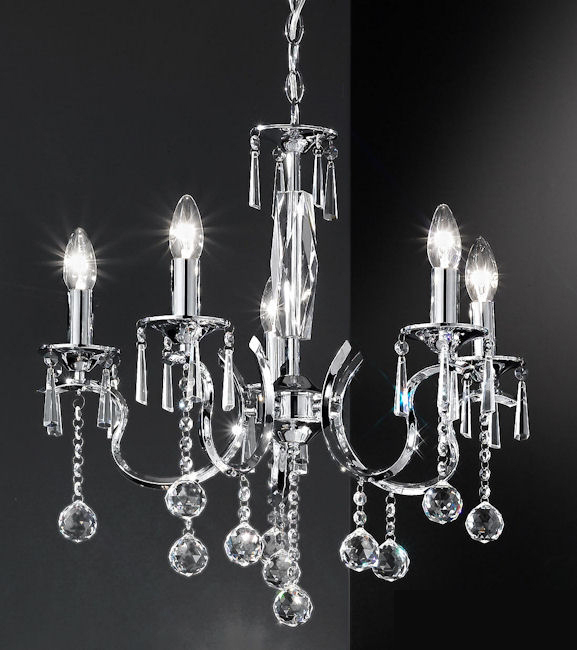 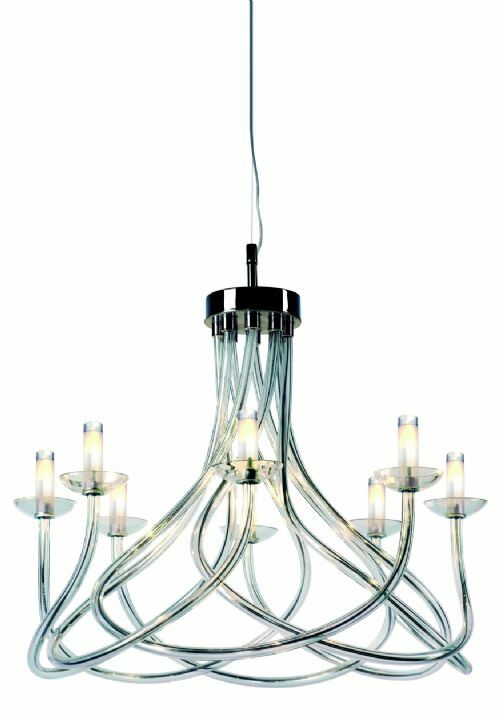 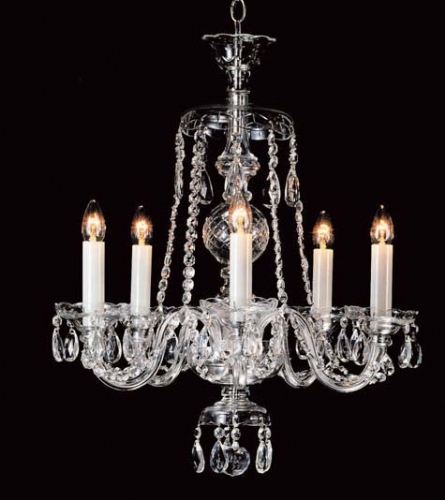 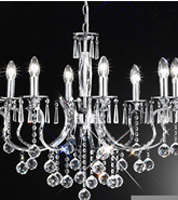 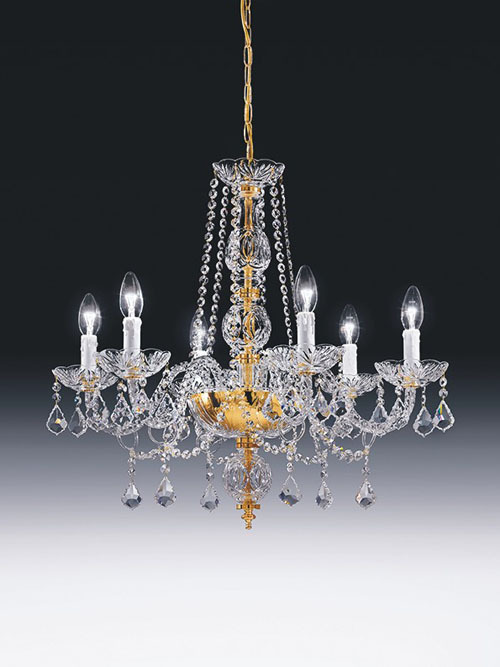 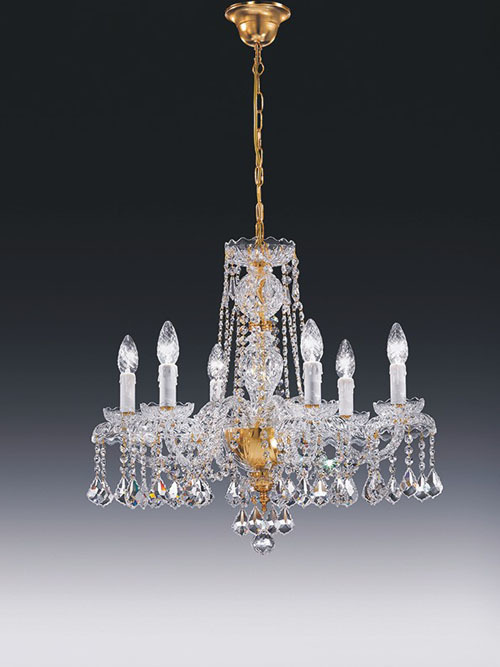 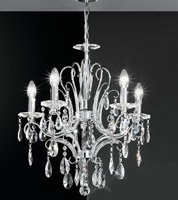 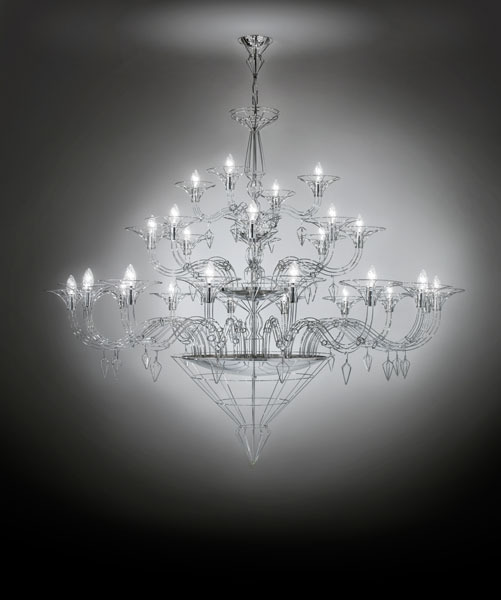 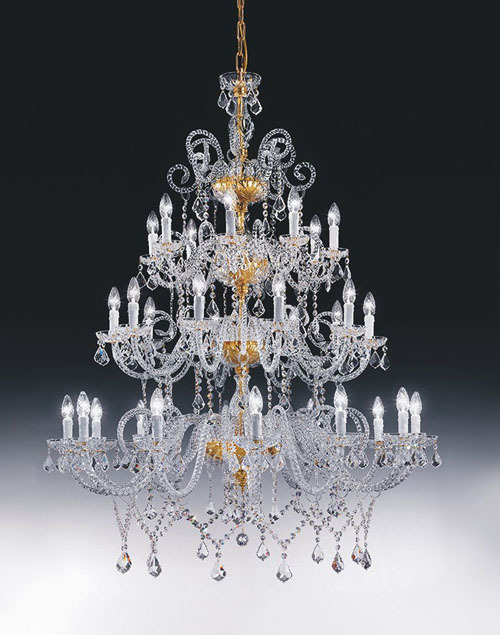 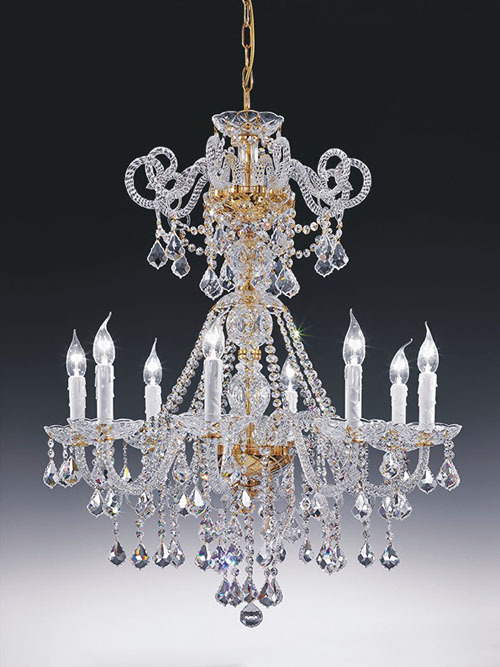 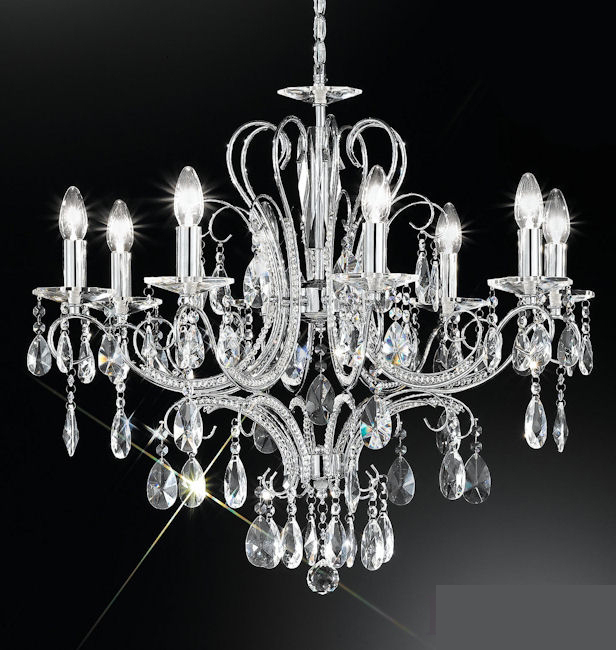 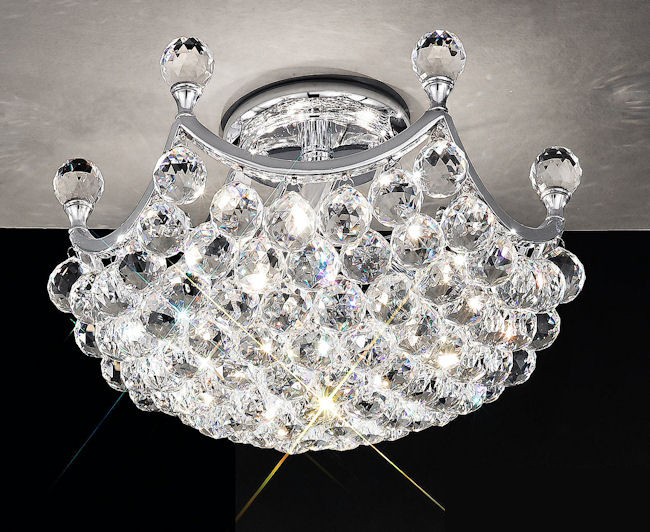 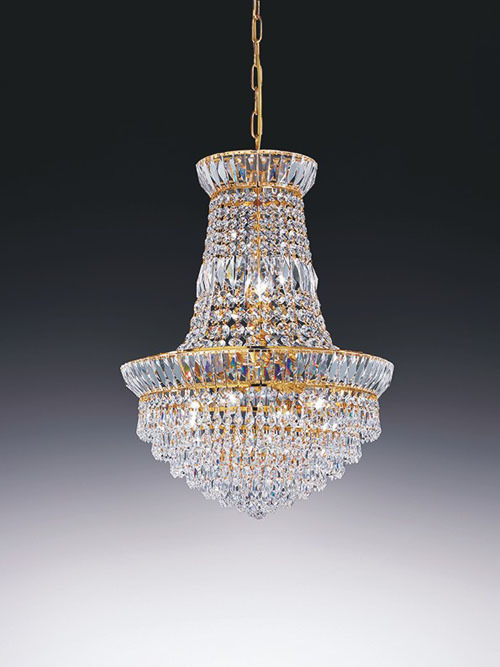 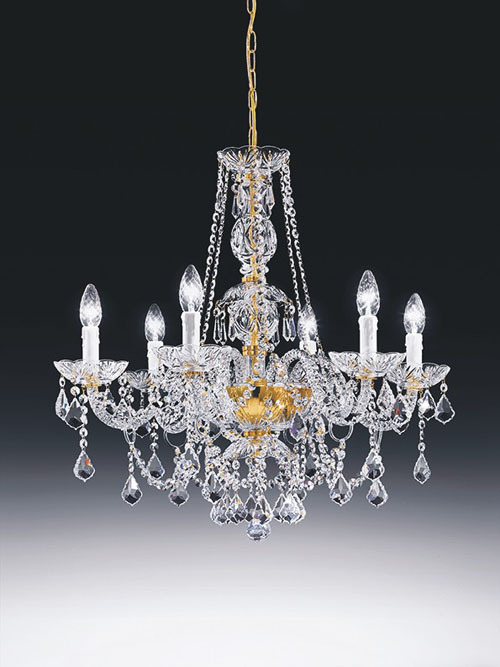 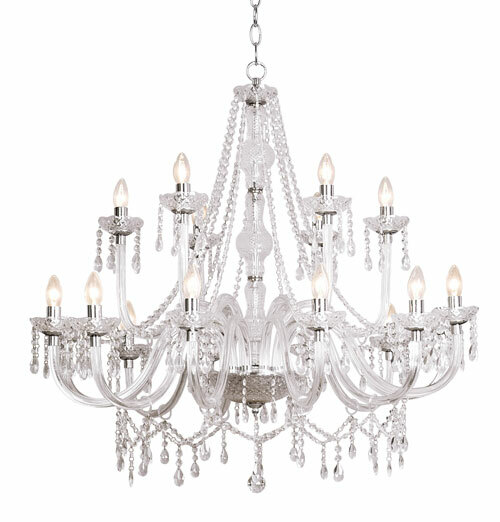 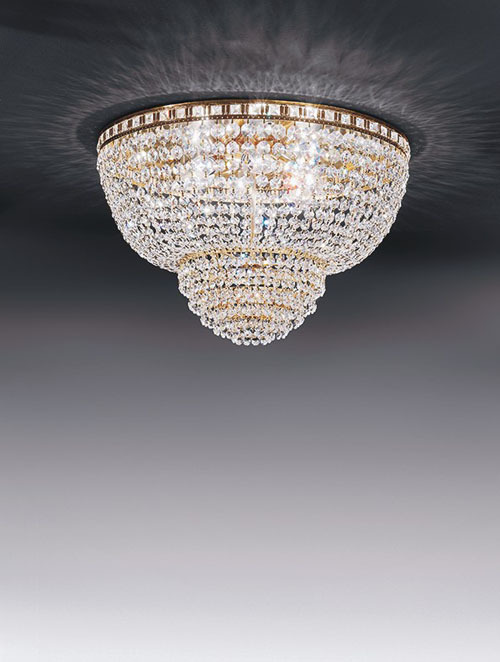 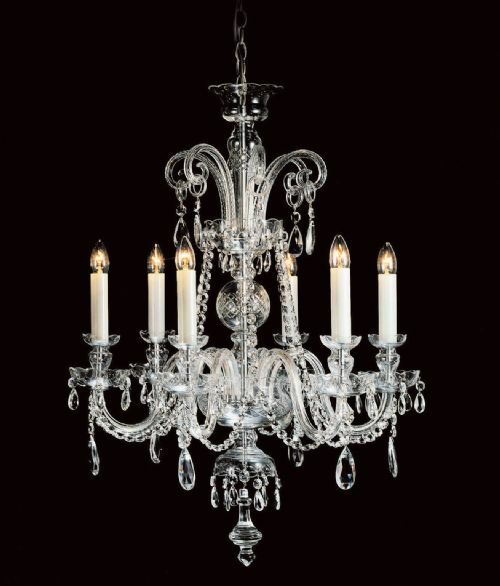 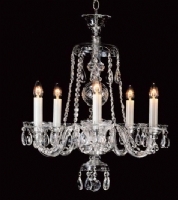 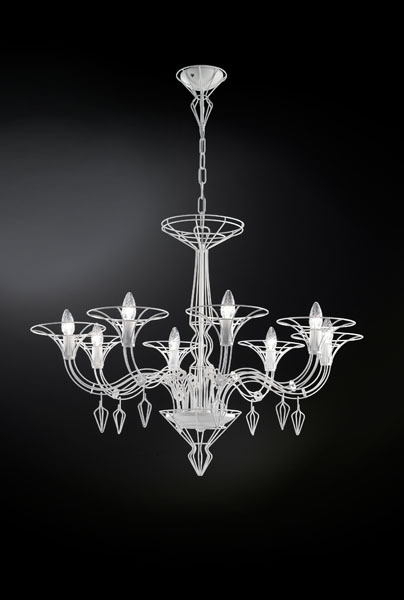 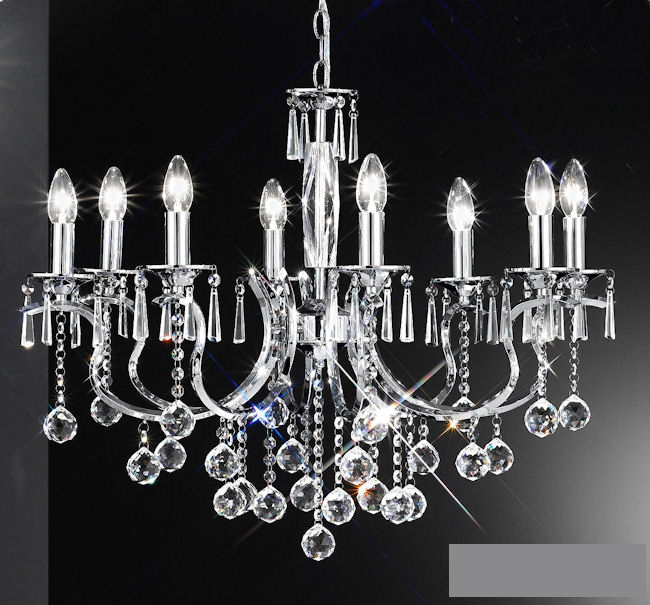 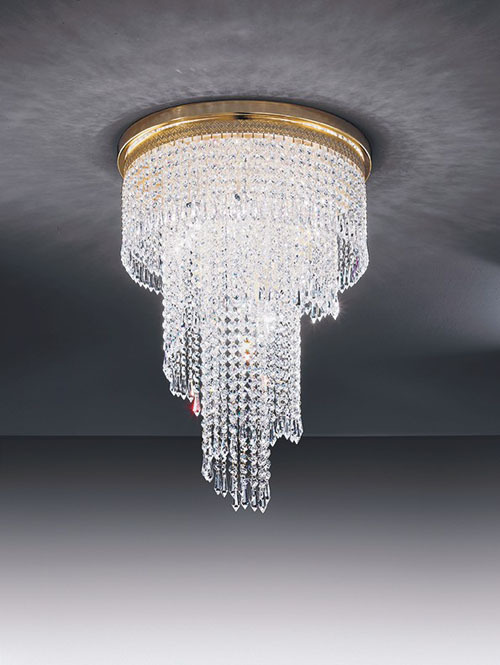 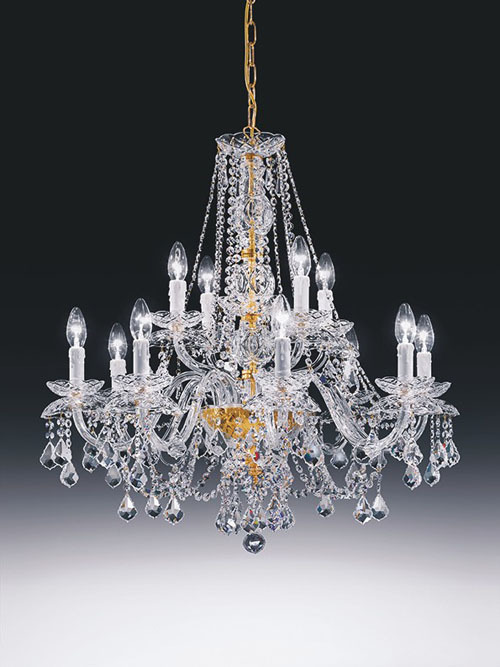 We stock contemporary crystal chandeliers, traditional crystal chandeliers, candle chandeliers, beaded Versaille crystal chandeliers at prices to suit all budgets - ranging from just under £100 to over £5000. 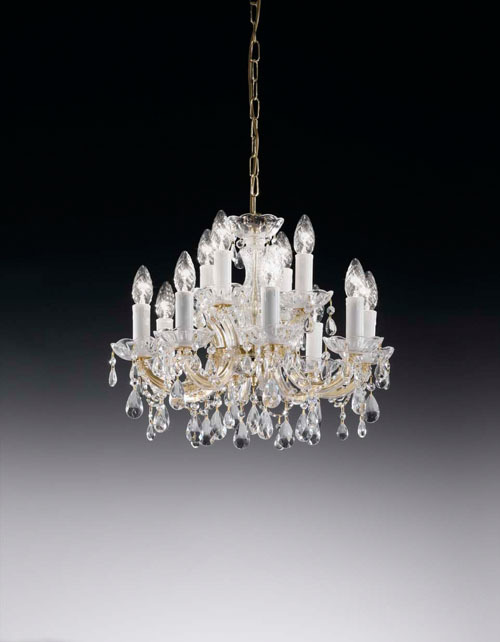 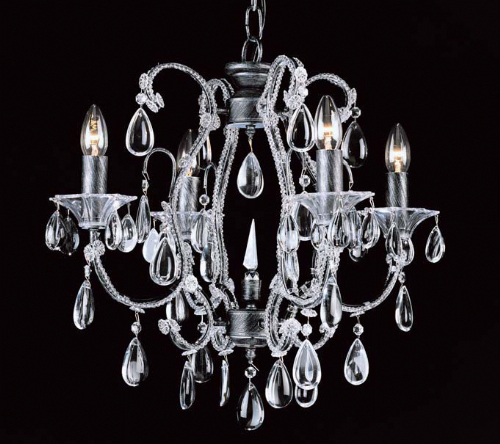 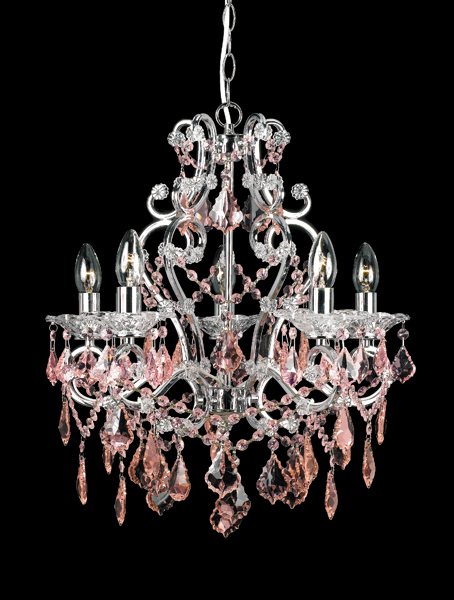 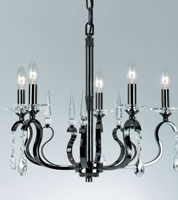 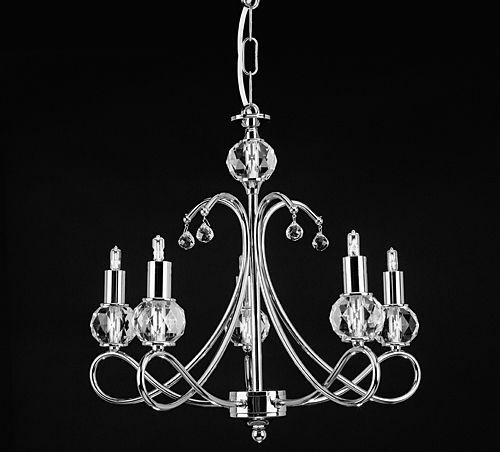 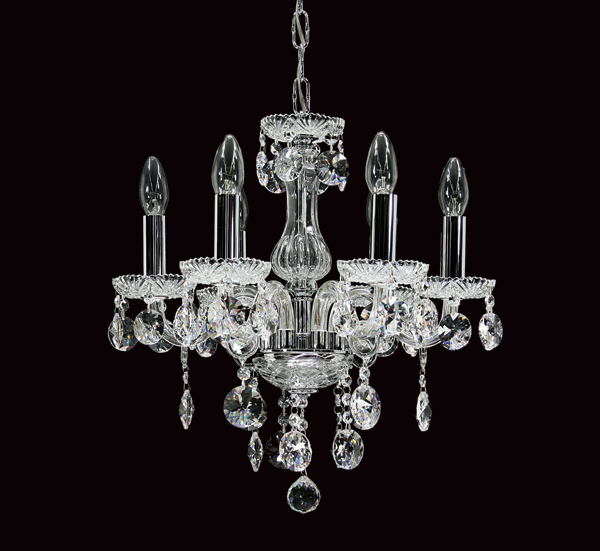 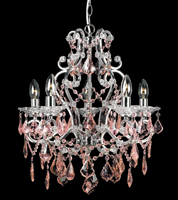 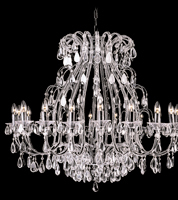 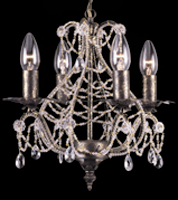 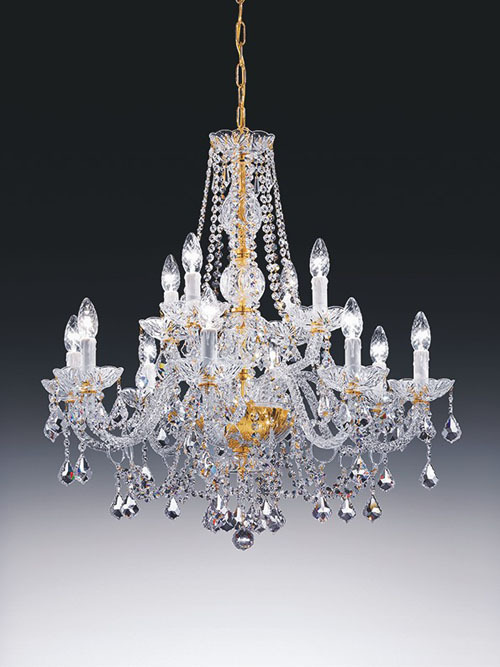 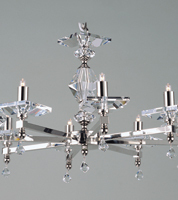 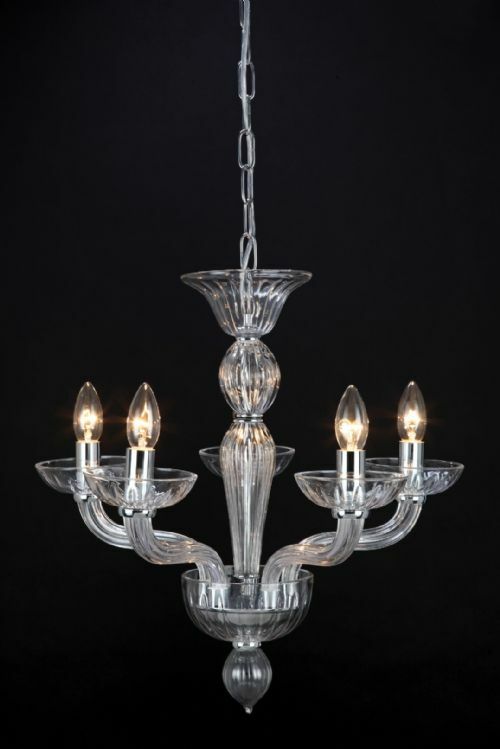 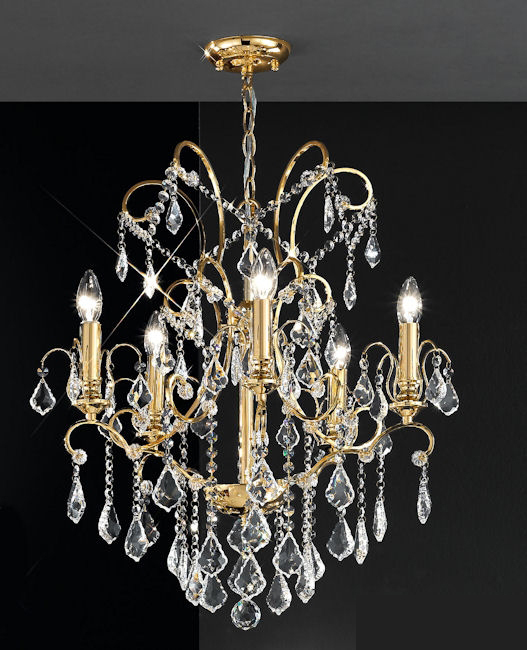 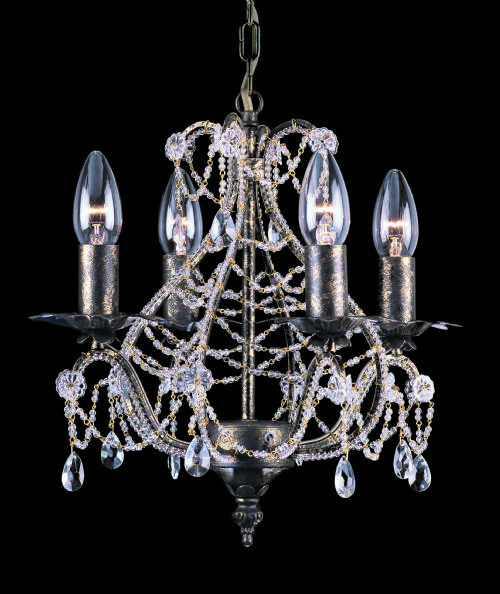 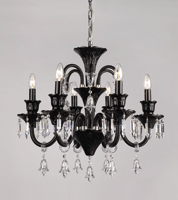 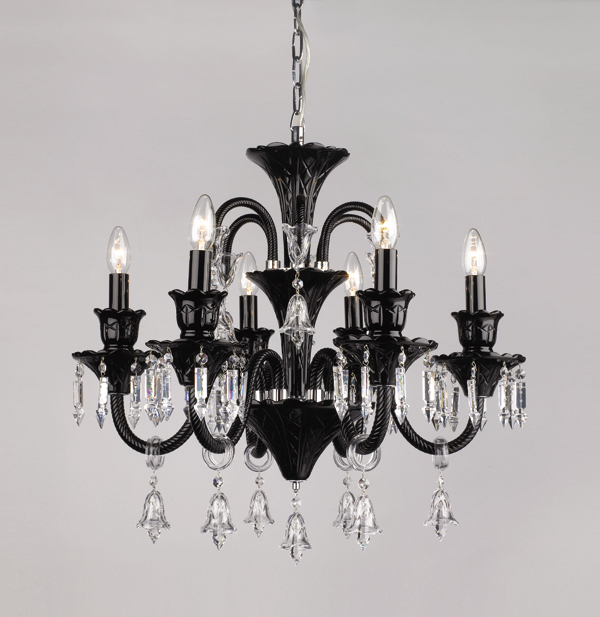 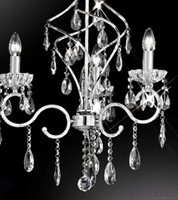 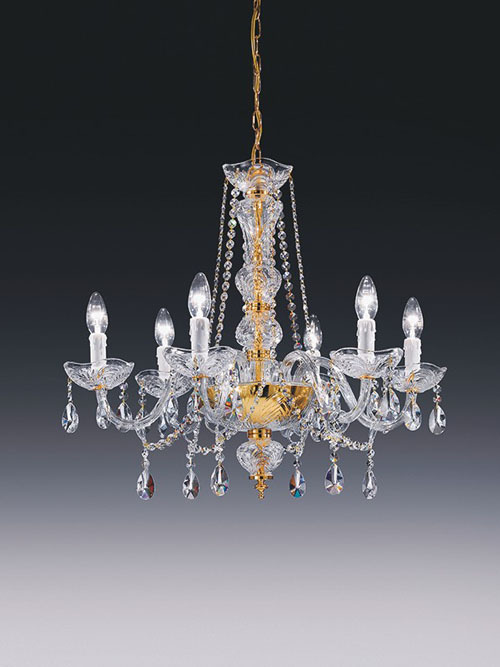 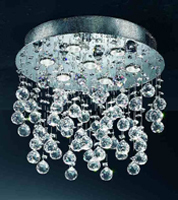 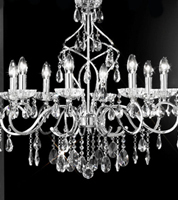 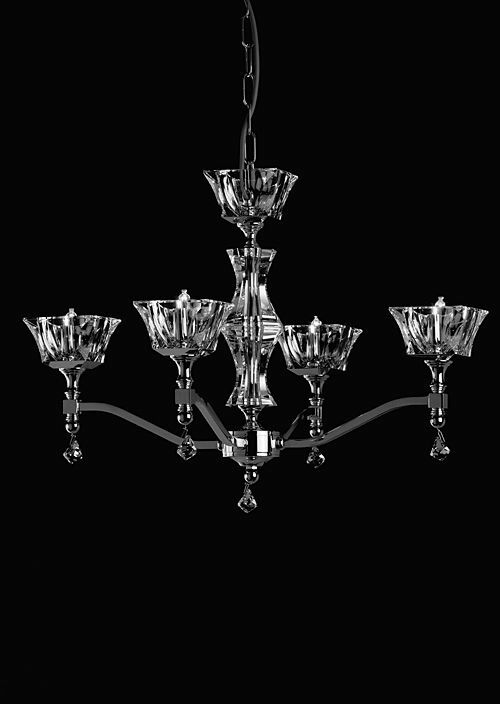 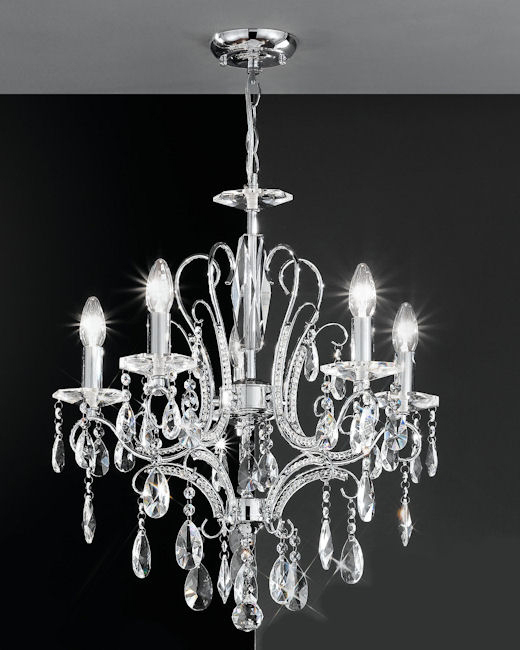 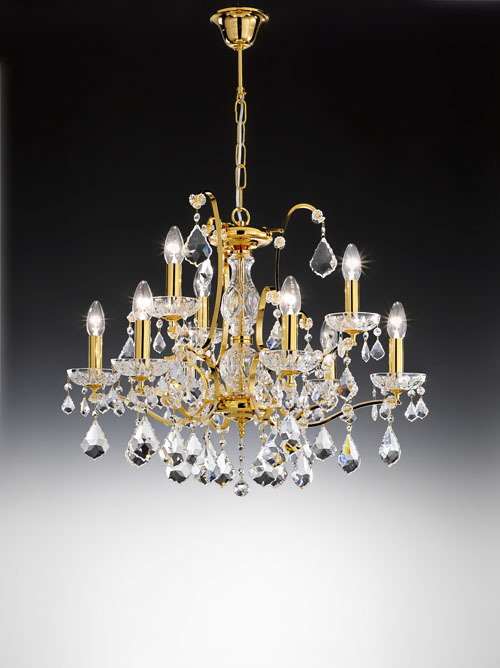 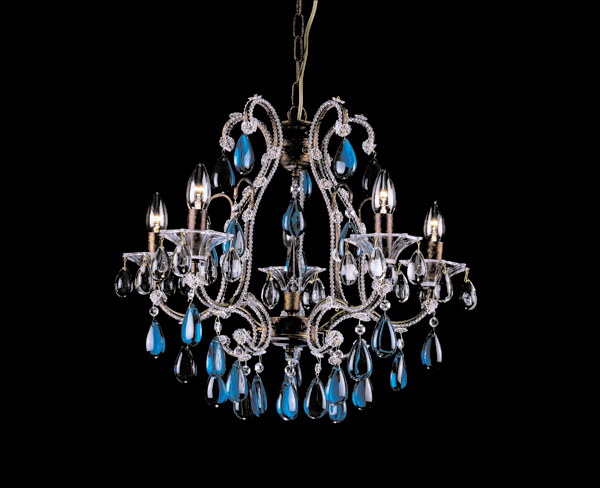 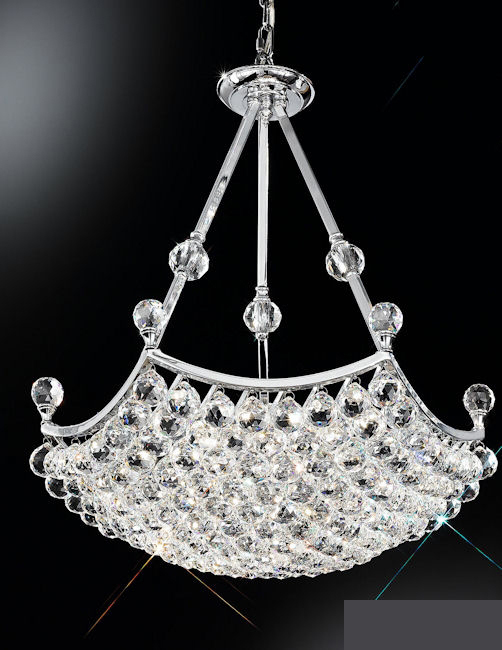 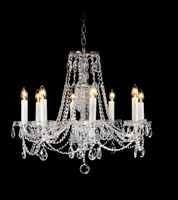 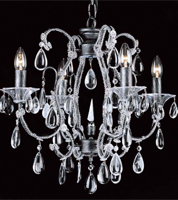 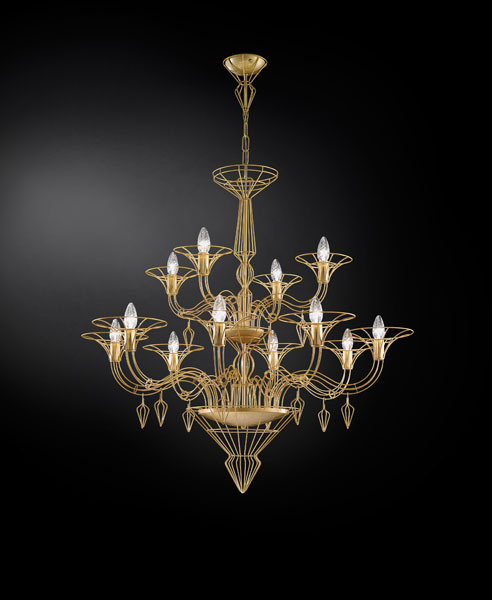 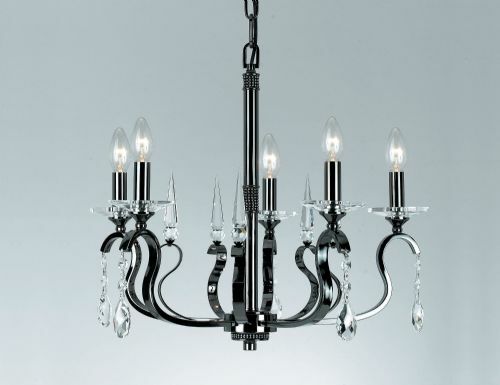 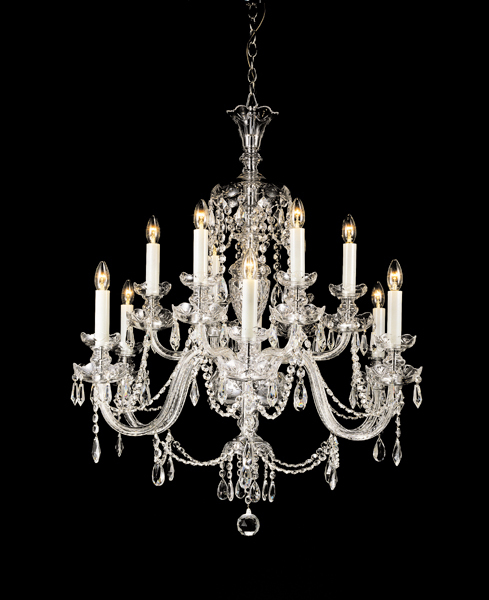 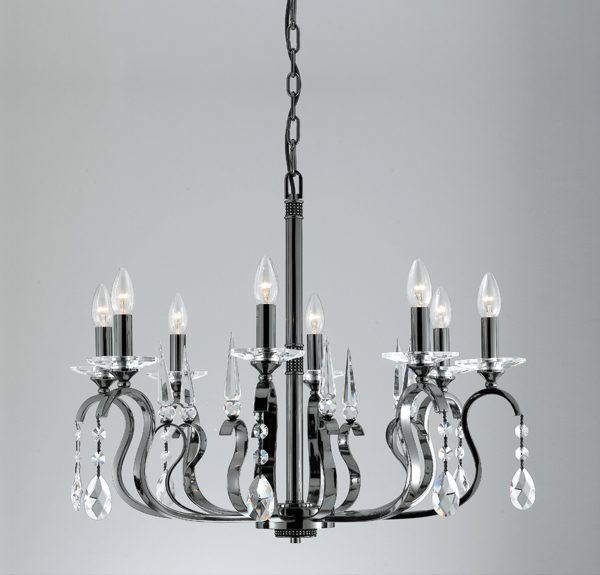 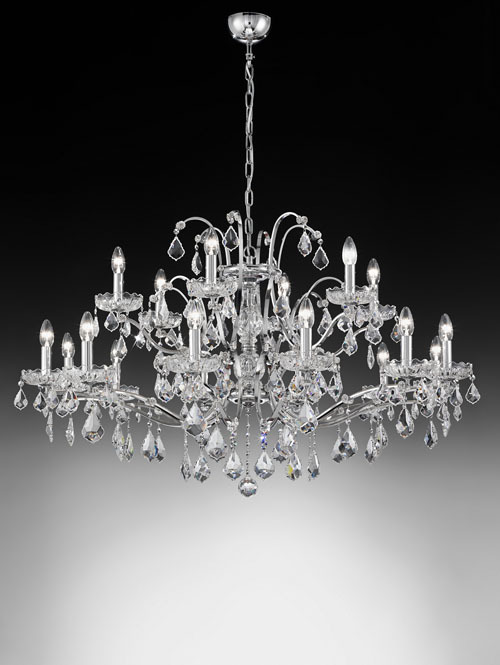 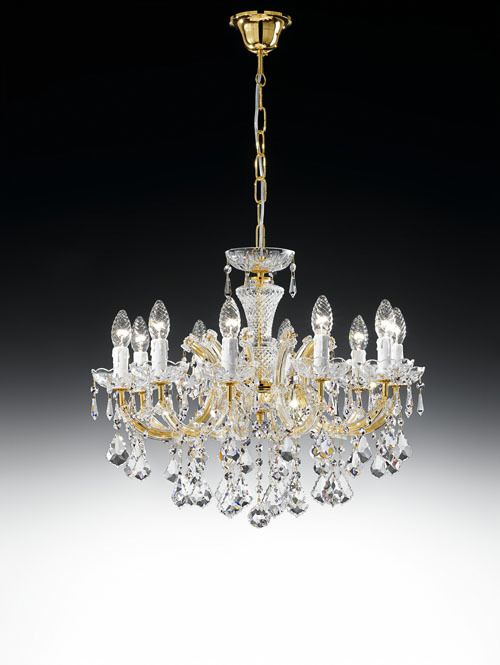 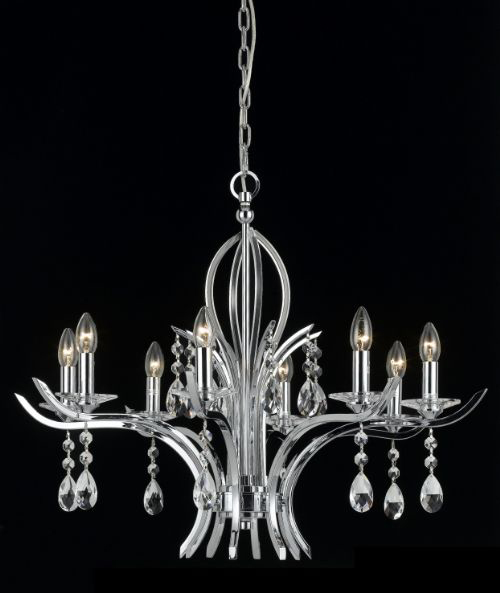 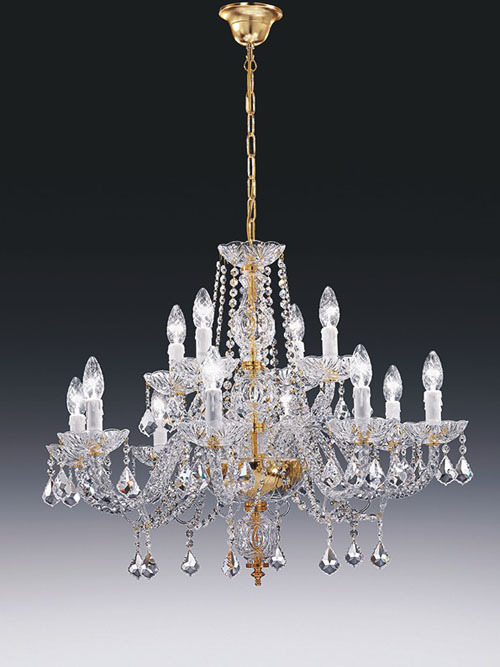 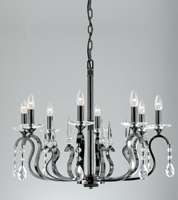 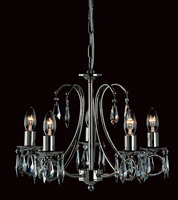 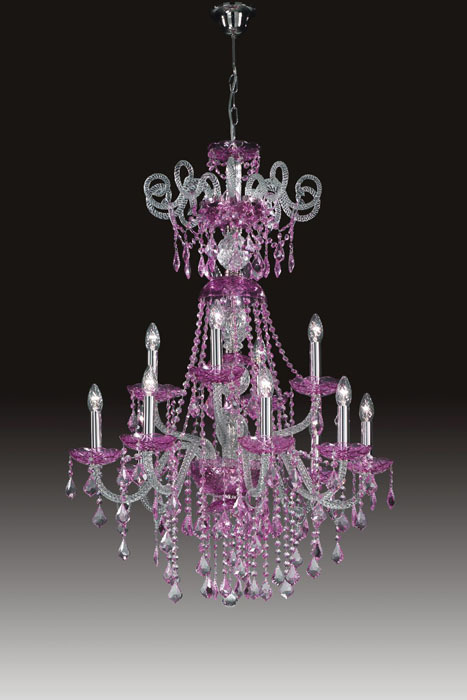 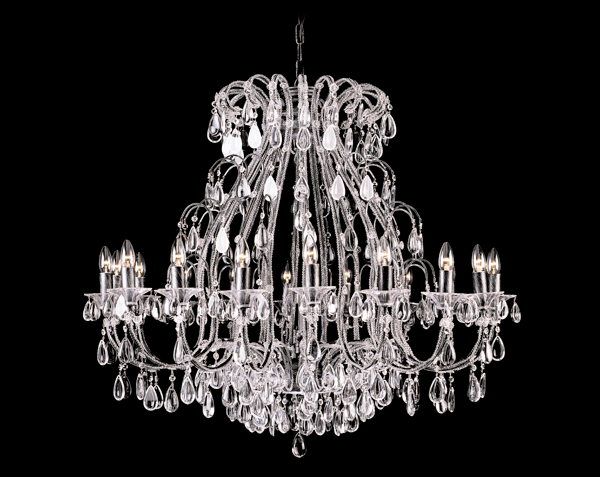 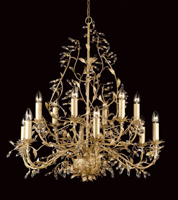 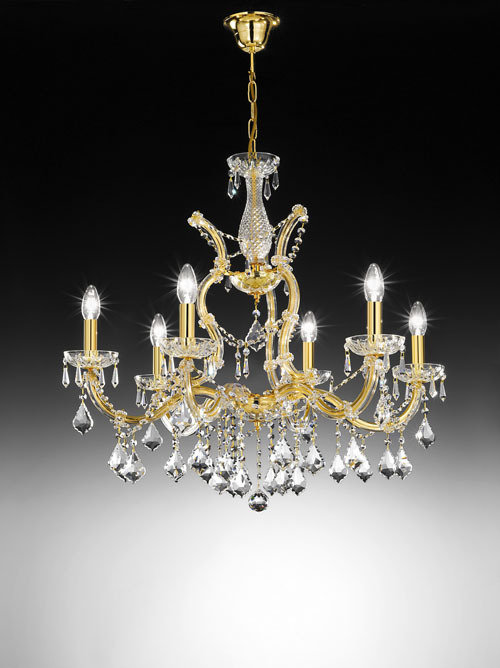 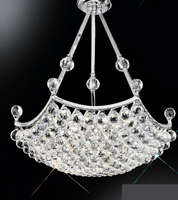 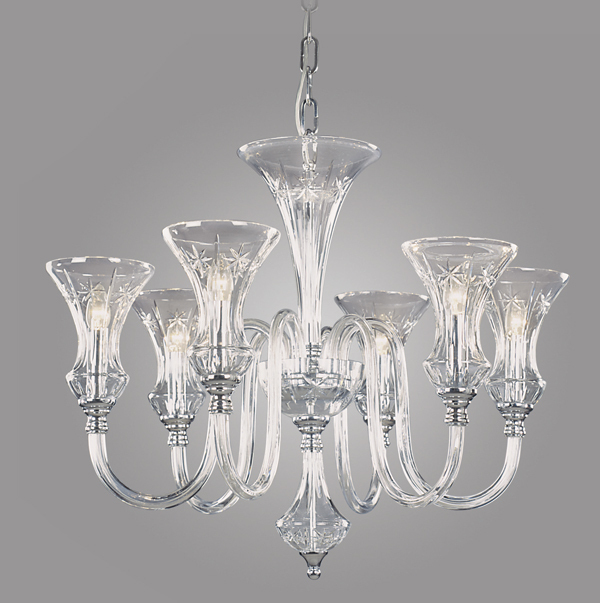 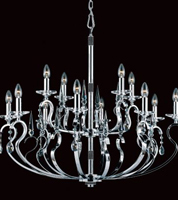 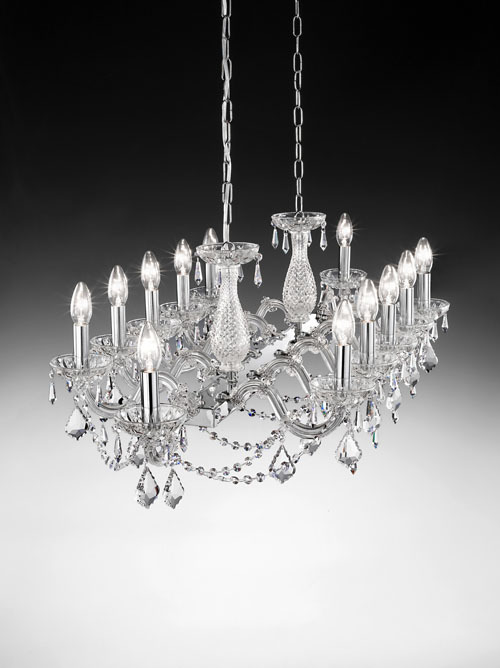 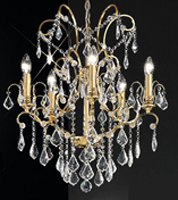 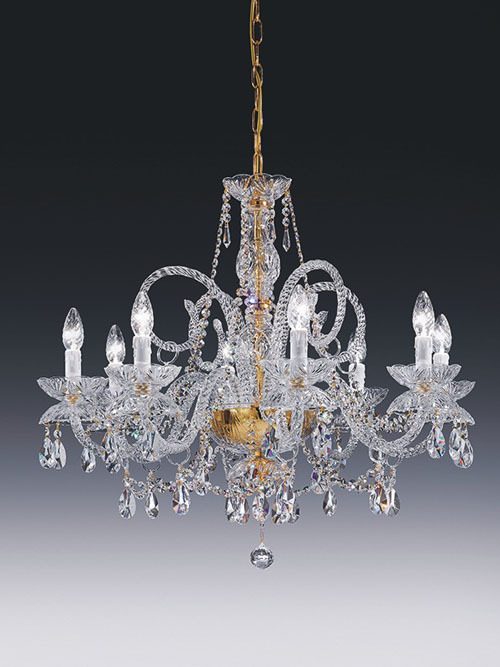 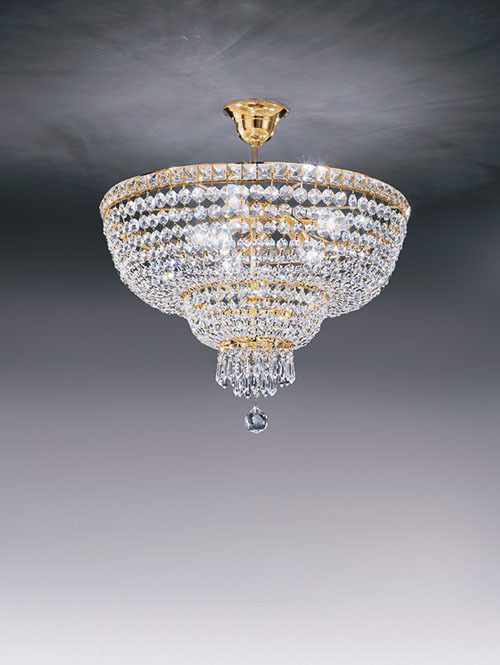 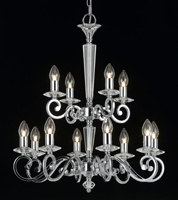 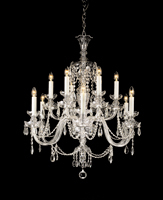 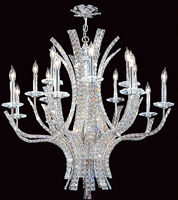 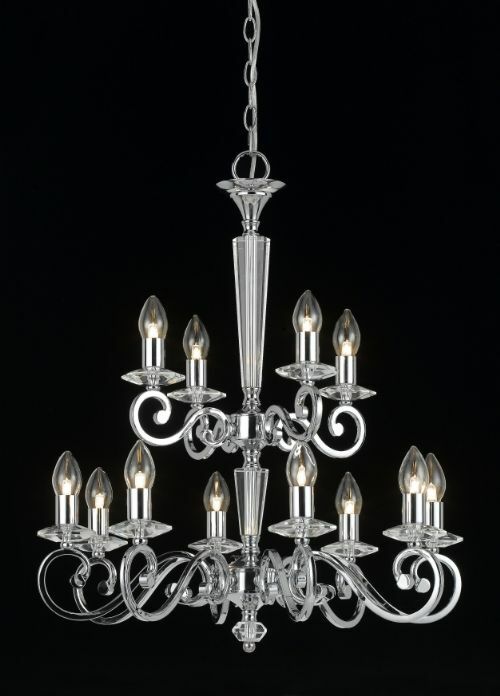 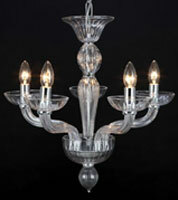 When buying a crystal chandelier it is important to understand that the quality can vary widely. 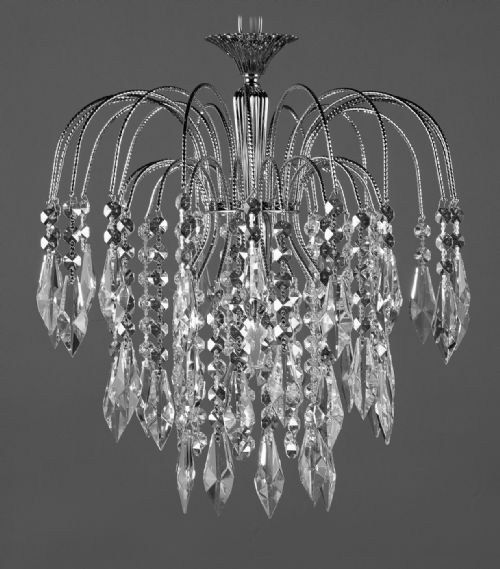 Here at Angelos Lighting, we can advise you on the different types of crystal available to help you choose from the wide range of products that are available. 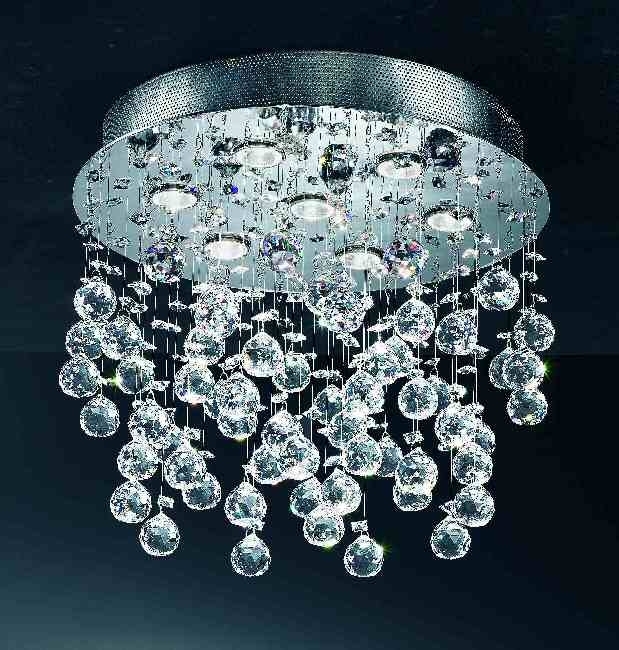 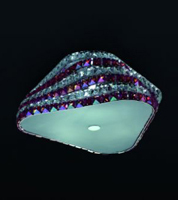 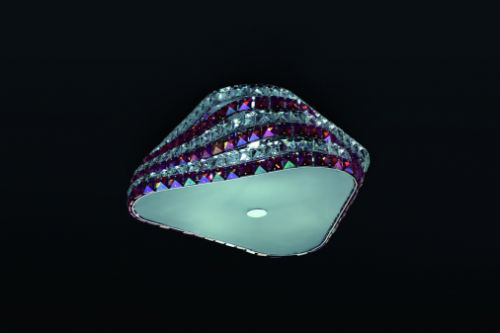 We stock Bohemiam Crystal, Asfour crystal and Swarovski crystal – all of which is 30% lead crystal. 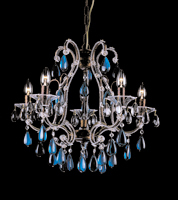 We also have coloured crystal chandeliers. 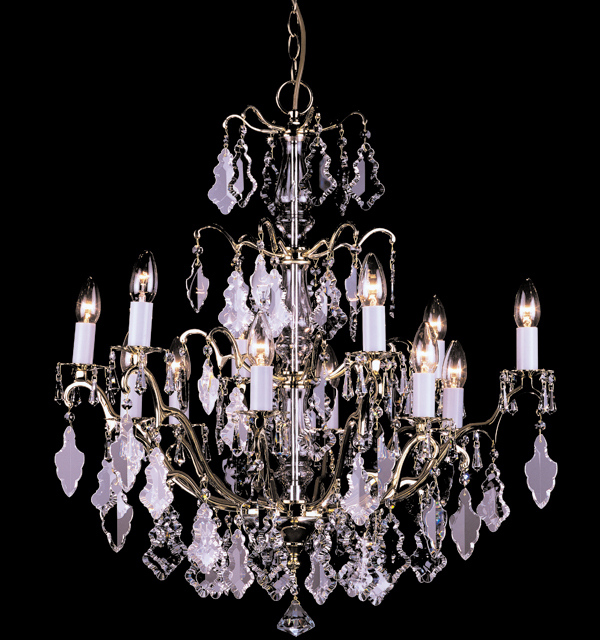 Crystal chandeliers are beautiful to behold in many rooms of the house. 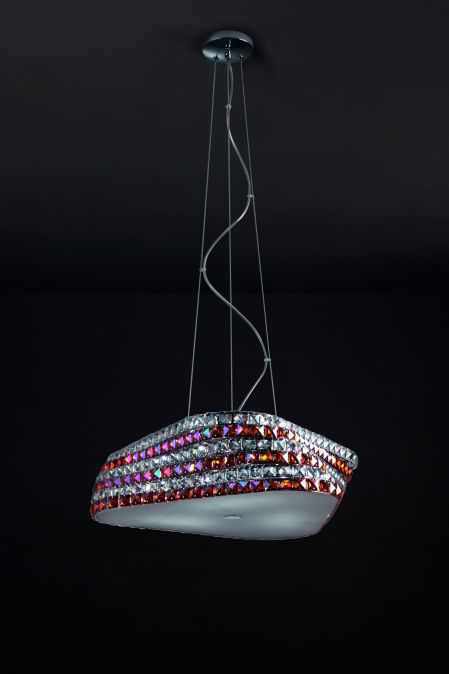 The crystal glass teardrops catch the light, creating beautiful rainbow patterns. 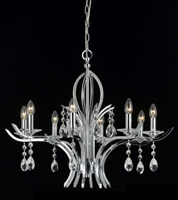 Any type of chandelier tends to create a strong focal point in a room. 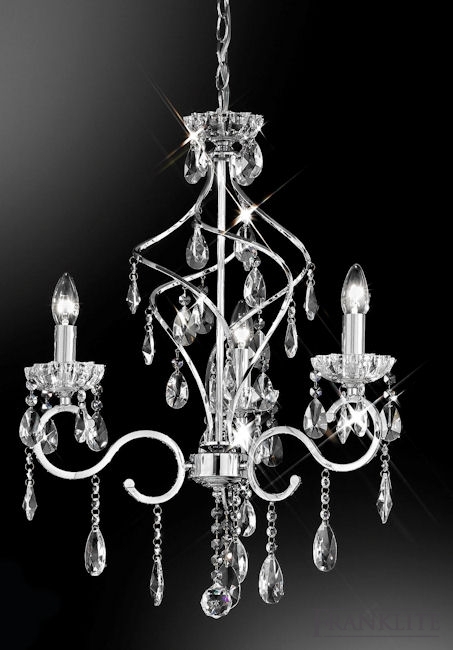 They are dramatic, elegant and luxurious - and will create a real show piece. 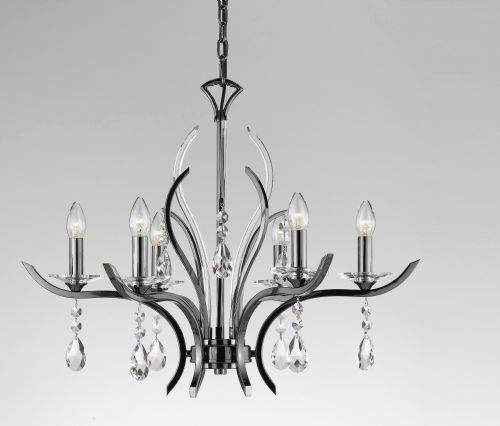 The key to choosing a chandelier for your home is to get the size right. 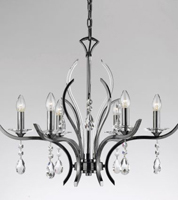 A chandelier which is too big will dominate a space and look out of proportion. 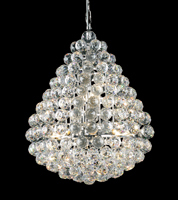 However one that is too small will also not create the desired effect. If you would like help choosing the right size of chandelier for your hallway, living room or dining room, bring the room dimensions with you when visiting our lighting shop. 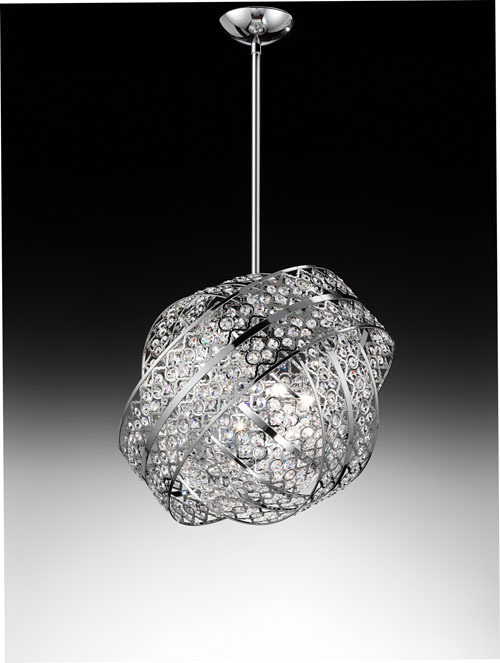 Our experienced lighting consultants will be able to help you to purchase the right size for your space. 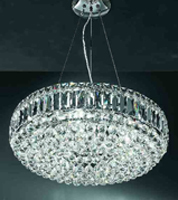 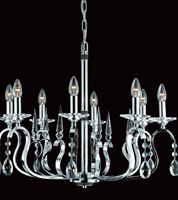 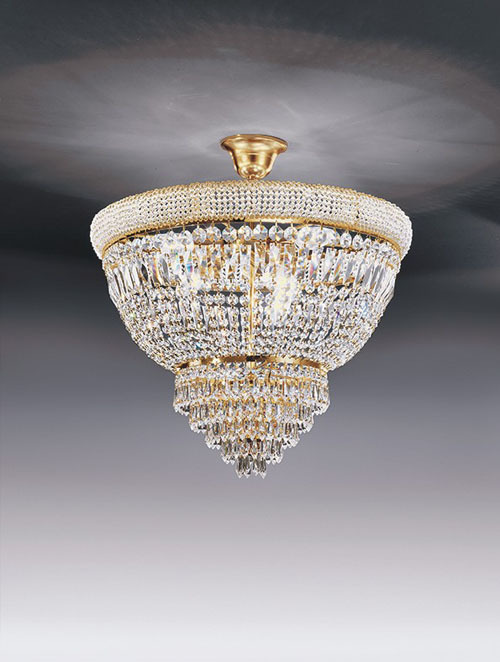 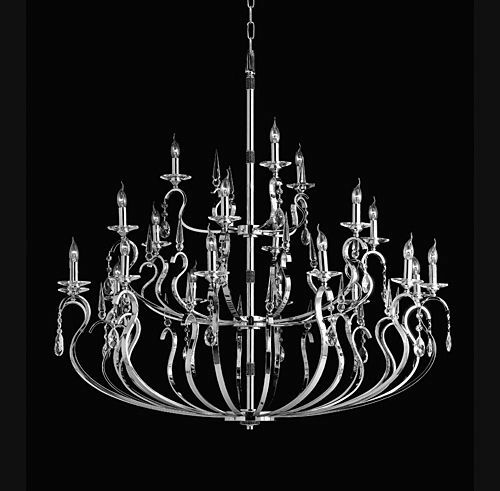 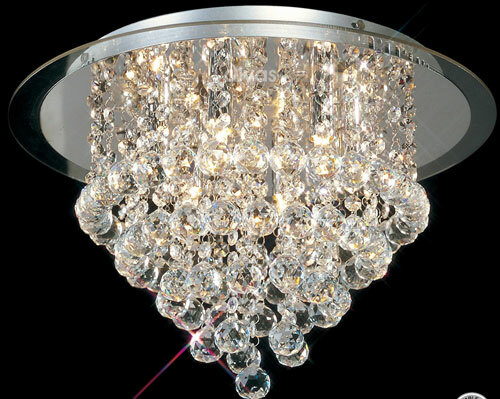 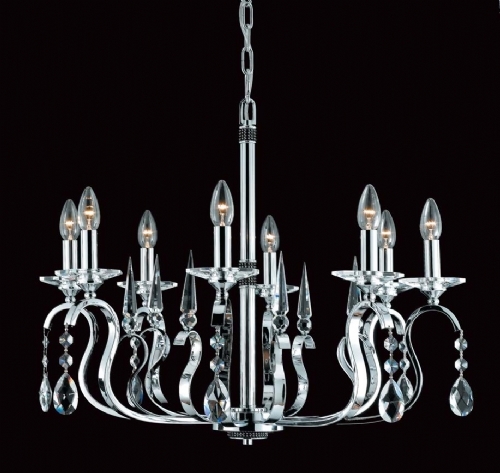 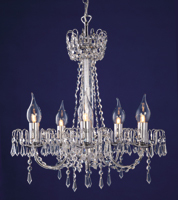 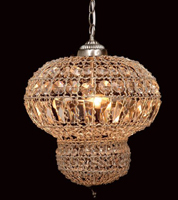 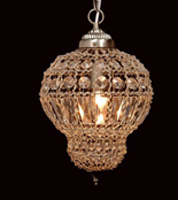 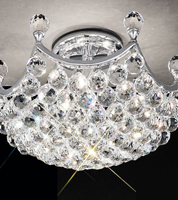 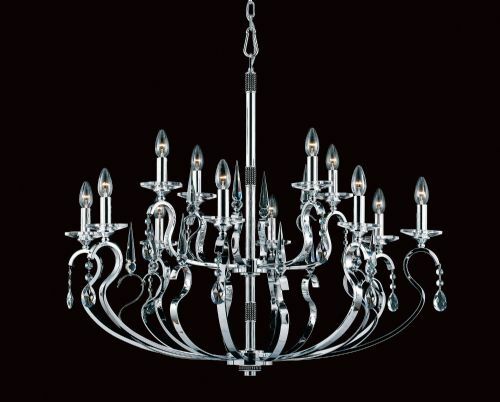 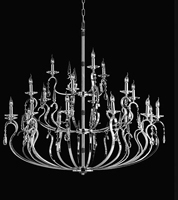 Crystal chandeliers are the ideal lighting solution for moderate to large entrance halls. 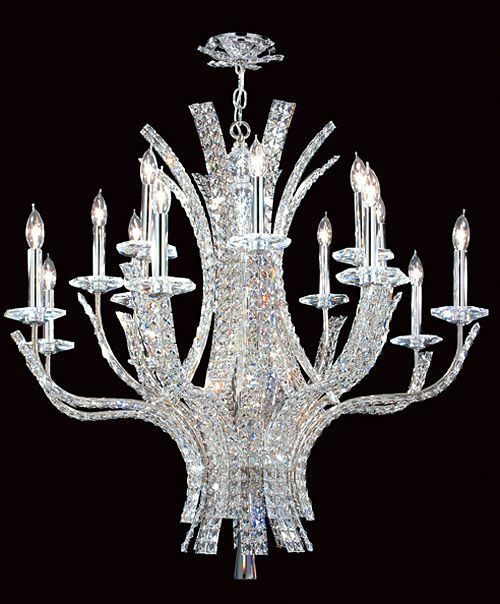 As people enter your home they will be wowed by the beautiful light feature. 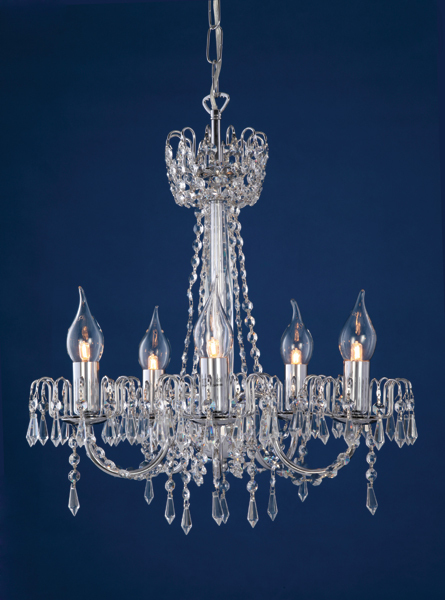 Choose a crystal chandelier for your hallway if the room receives plenty of sunlight, as this will make it sparkle and create a truly magical effect. 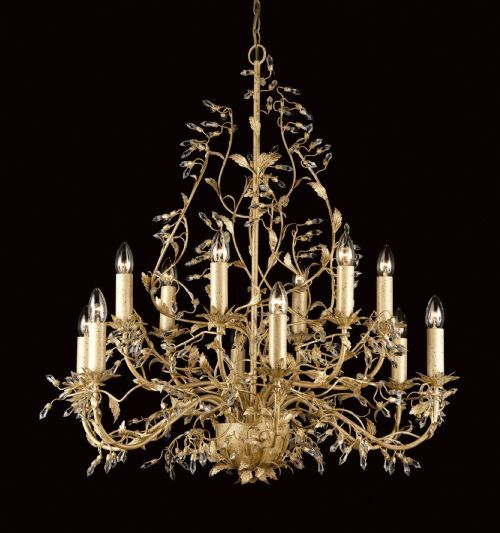 If your entrance way is darker and doesn't benefit from that much natural light, please view our other types of chandelier – including brass chandeliers and Venetian chandeliers which may suit your hallway better. 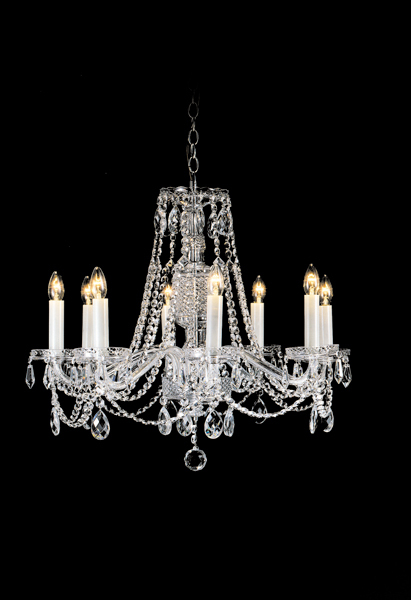 A stunning crystal chandelier above the dining table will give your dining room a stylish and dramatic flavour. 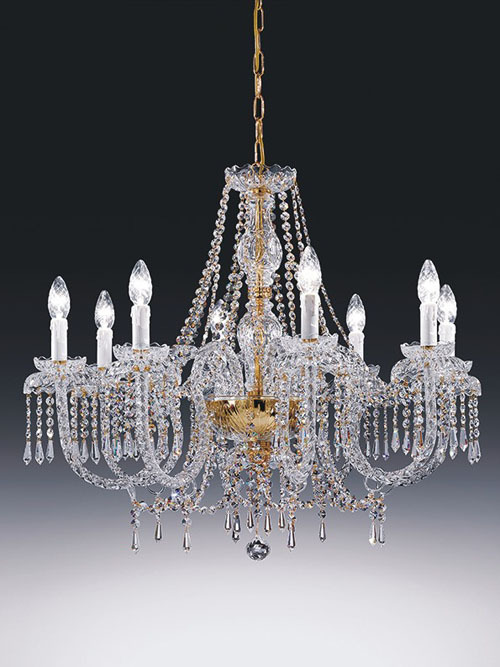 Great for impressive dining parties with friends or elaborate family dinners, crystal chandeliers work best in separate dining rooms rather than kitchen diners. 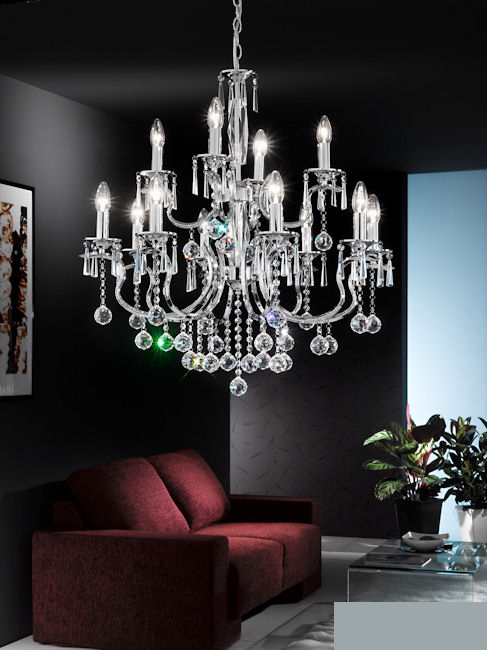 Add crystal wall lights and one or two table lamps to complete the look and give you a choice of lighting options, so that you can control the lighting to suit your mood. 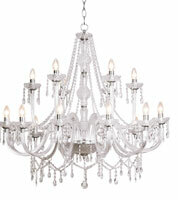 Chandeliers can work very well in a living room, depending on the style of your furniture and décor. 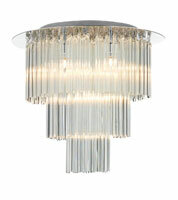 Particularly living rooms with high ceilings will benefit from an impressive light fitting in the centre of the room. 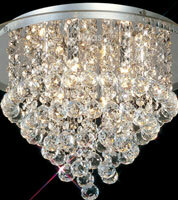 As the living room is a place that the family relaxes, it is important to choose lighting in this room that you love. 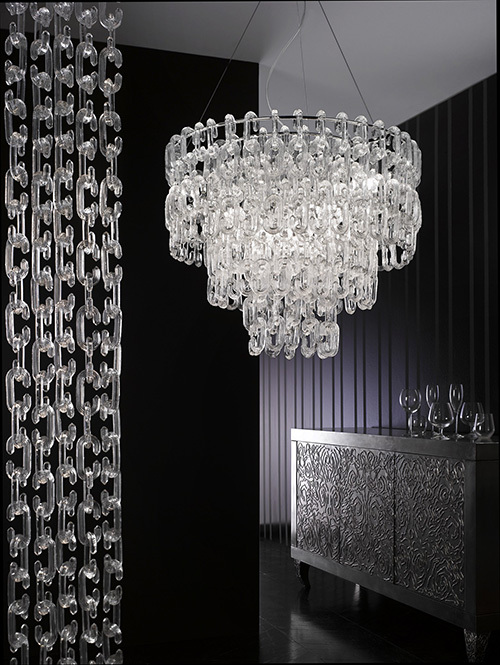 Crystal chandeliers can make for a stylish living space, whether your space is more contemporary or traditional in style. 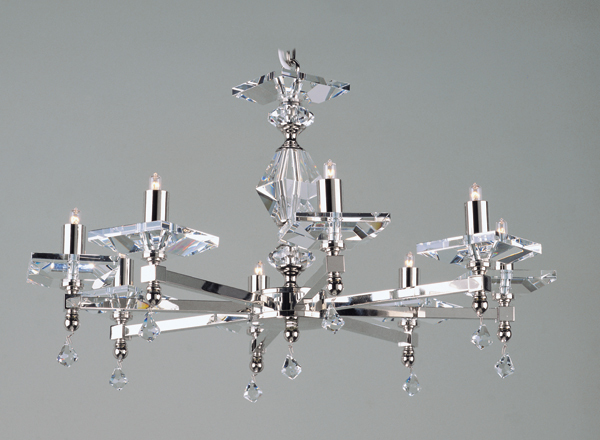 Caring for a crystal chandelier is not as complicated as you might think. 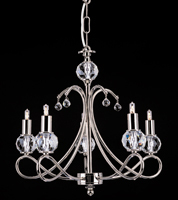 Keep your chandelier clean with regular dusting and this will reduce the build up of dirt and grime. 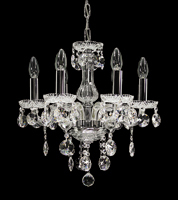 Every few years you may wish to wash the crystals, to restore their sparkle keep your chandelier looking its very best. 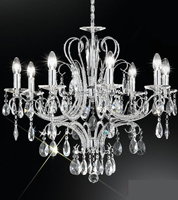 When cleaning it is essential to disable the power source, to prevent accidents. 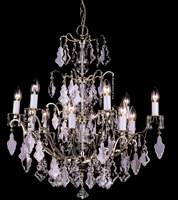 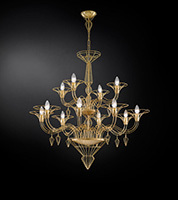 If necessary ask an electrician to take down the chandelier to enable cleaning to take place. 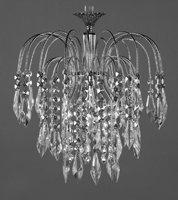 Then a simple solution of vinegar can be used to polish each crystal in turn.